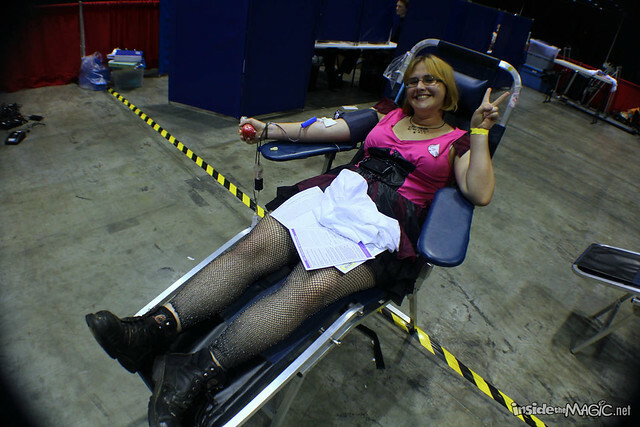 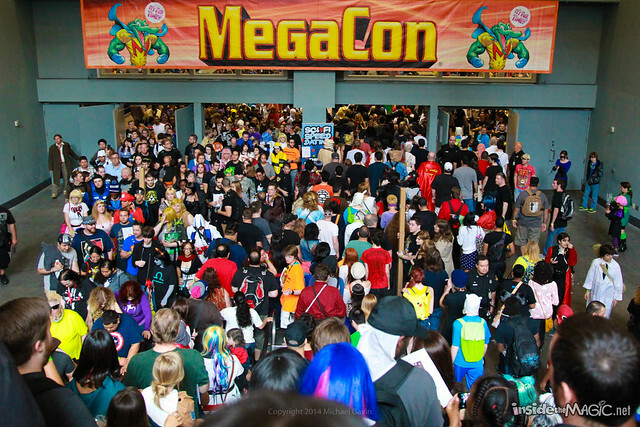 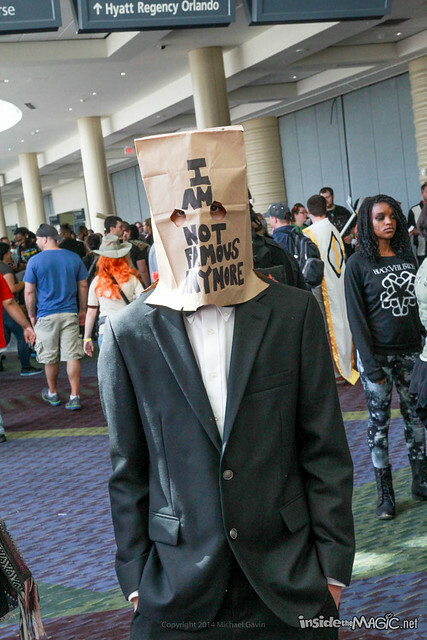 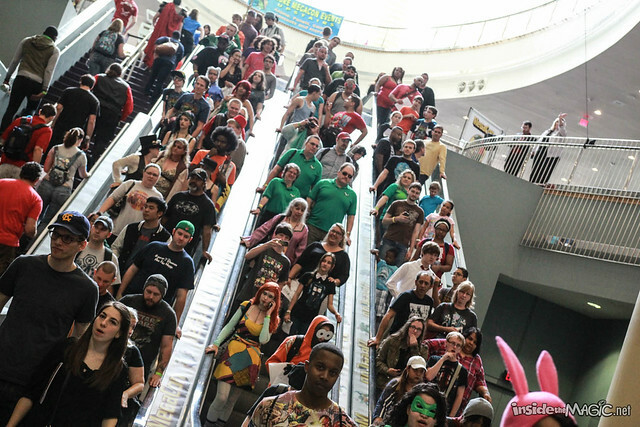 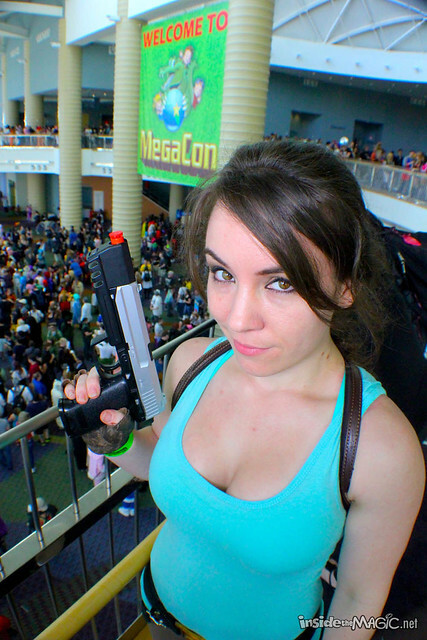 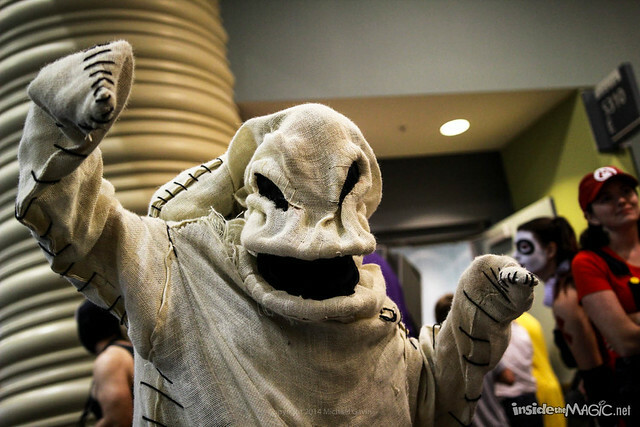 An unprecedented attendance of more than 80,000 people on its biggest day alone made MegaCon 2014 one of Orlando’s biggest conventions ever. 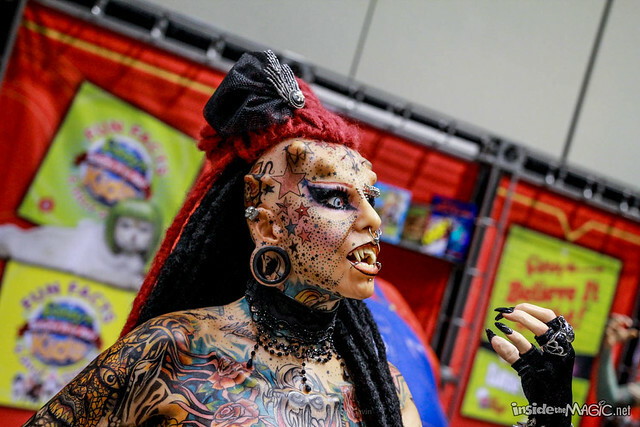 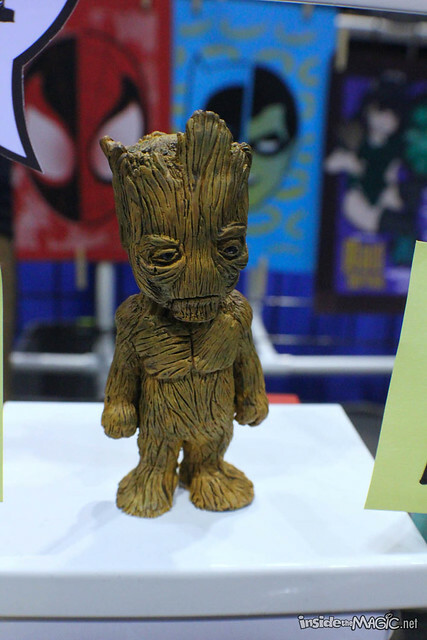 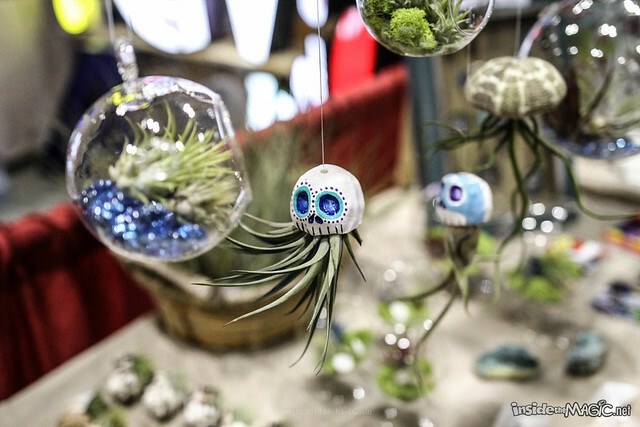 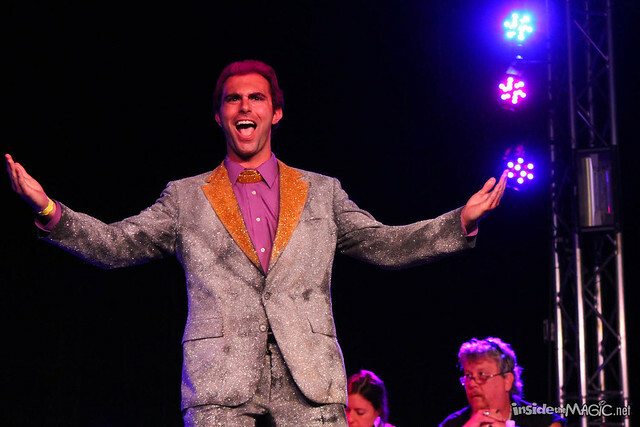 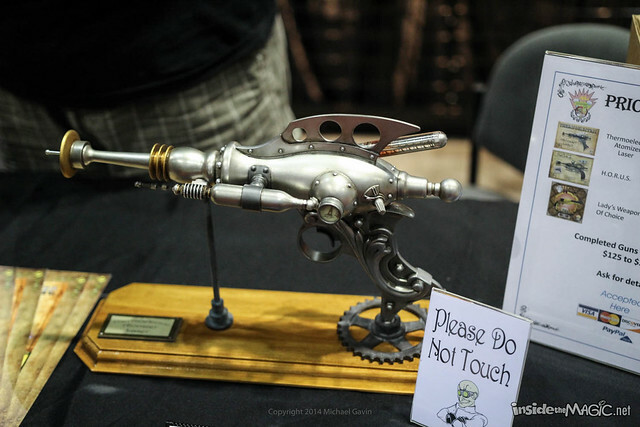 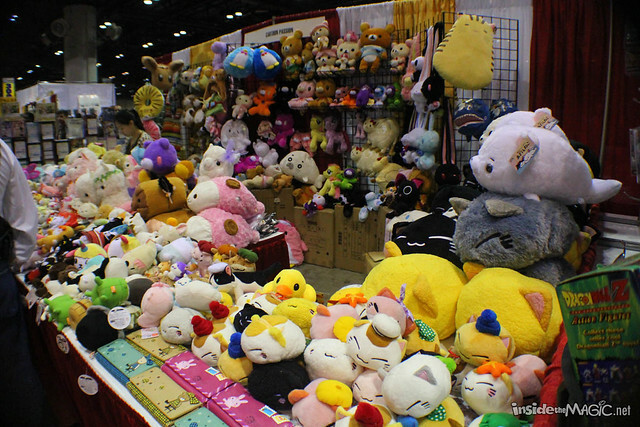 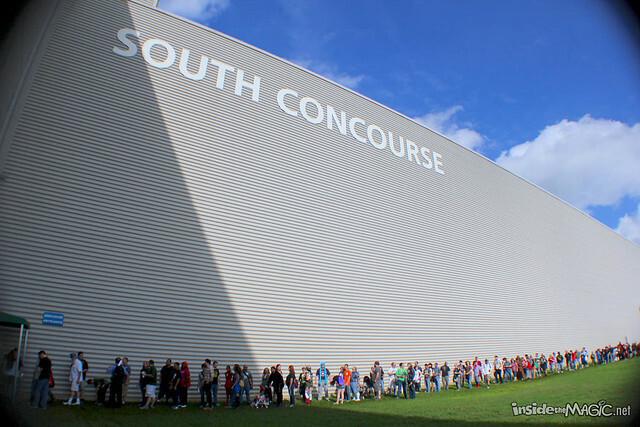 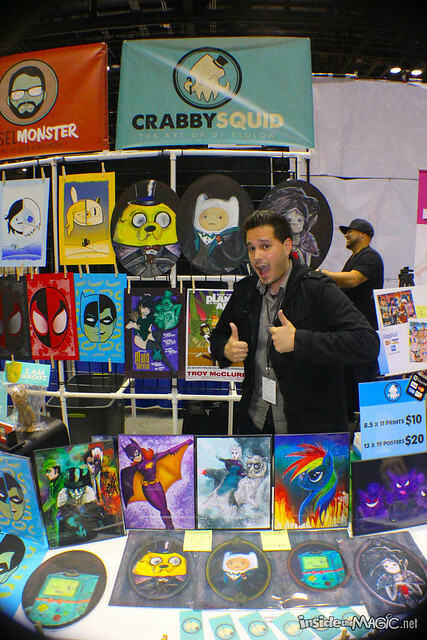 This year the sprawling show moved to the South Concourse of the Orange County Convention Center, packing in every inch of space with excited fans of all things pop culture, eager to see – and meet – some of their favorite celebrities, artists, writers, and more. 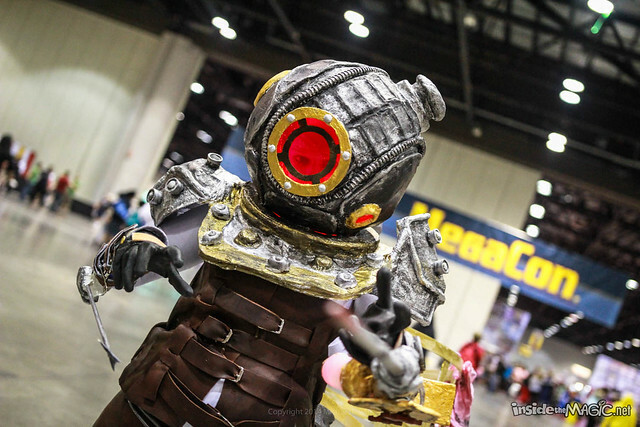 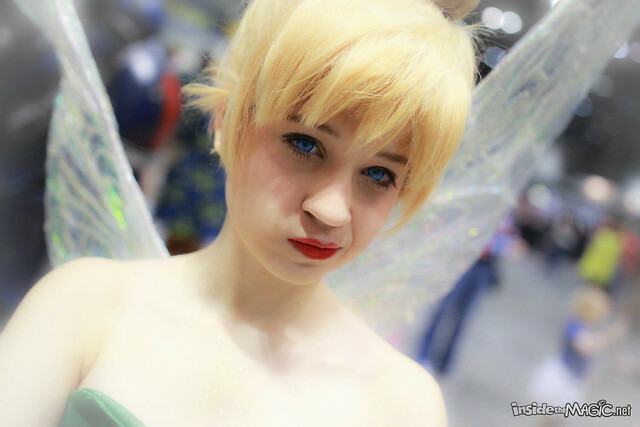 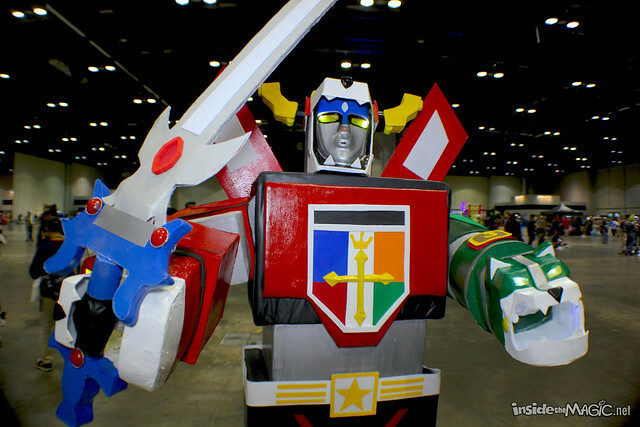 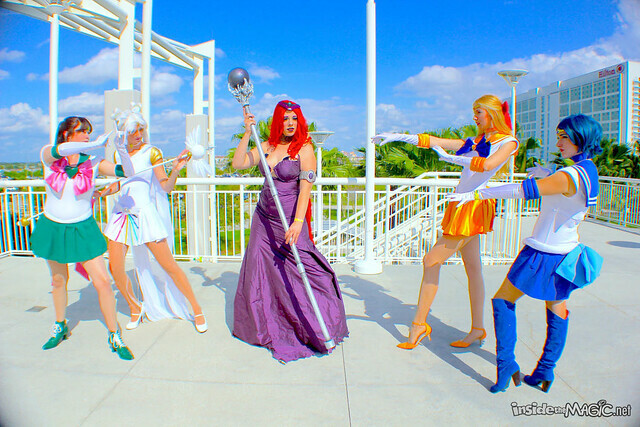 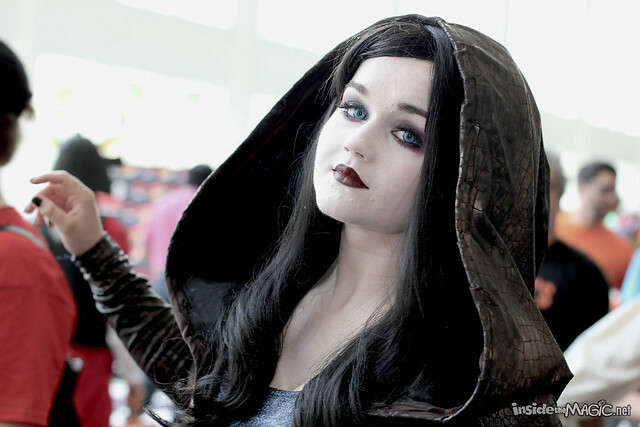 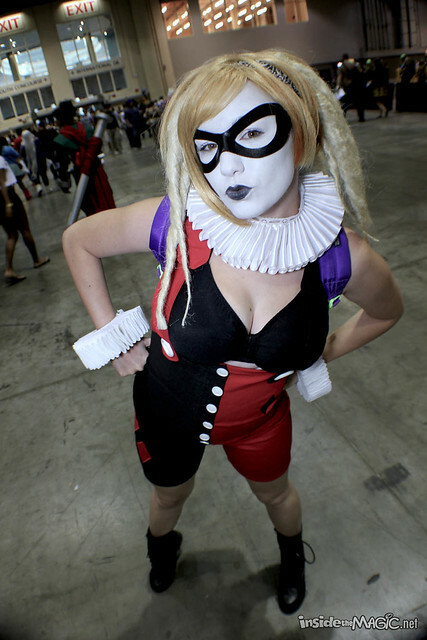 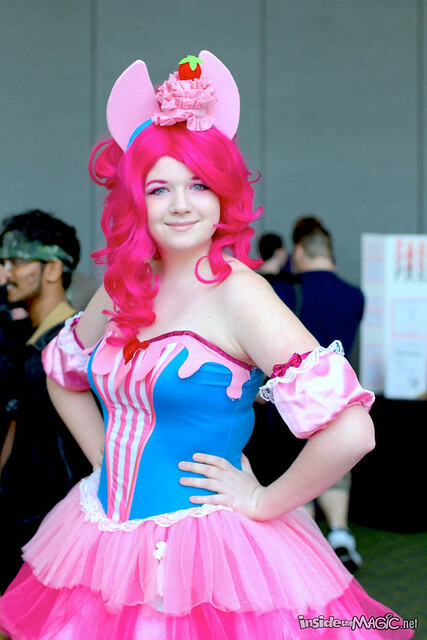 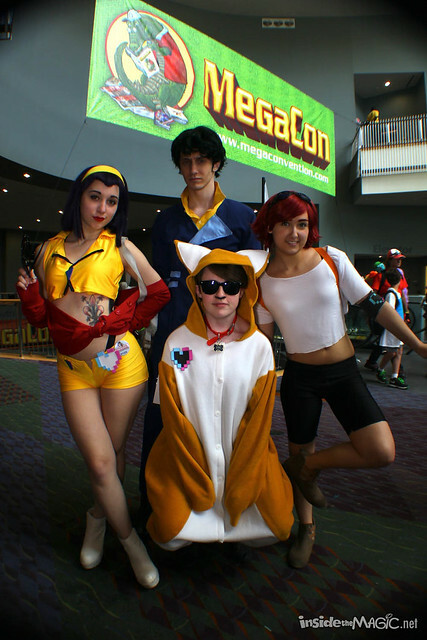 With many dressed in elaborate costumes, attendees at MegaCon 2014 showed that cosplay is bigger than ever, bringing impressive levels of creativity and craftsmanship to show off their talents and love of anime, TV shows, movies, comic books, superheroes, and a whole lot of Disney characters. 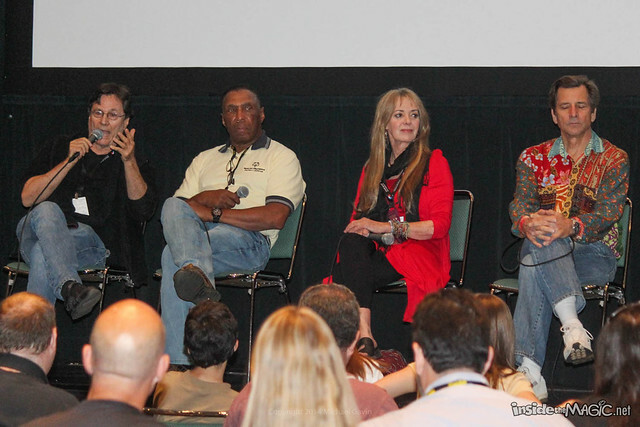 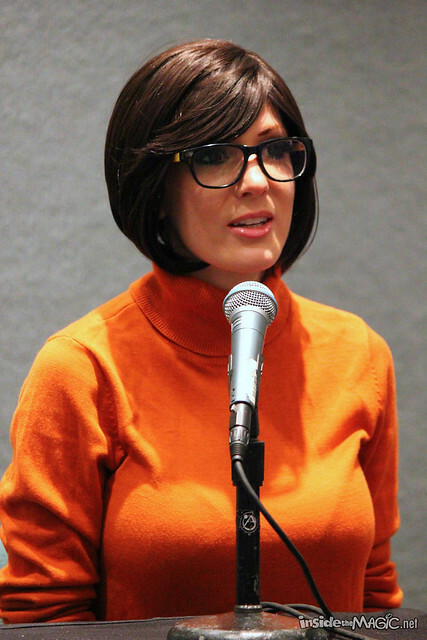 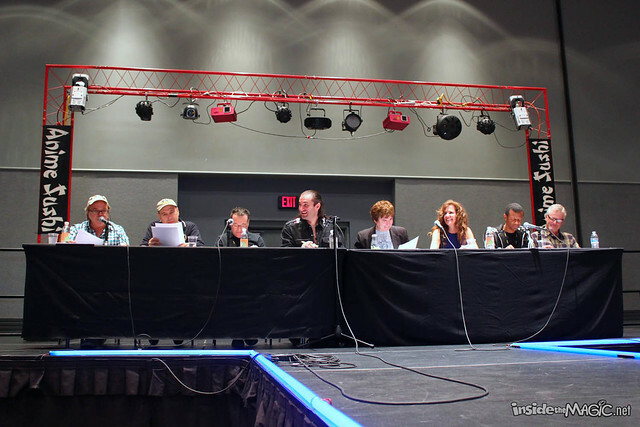 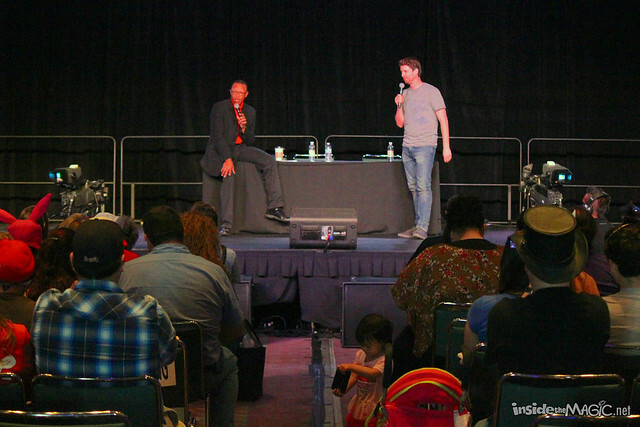 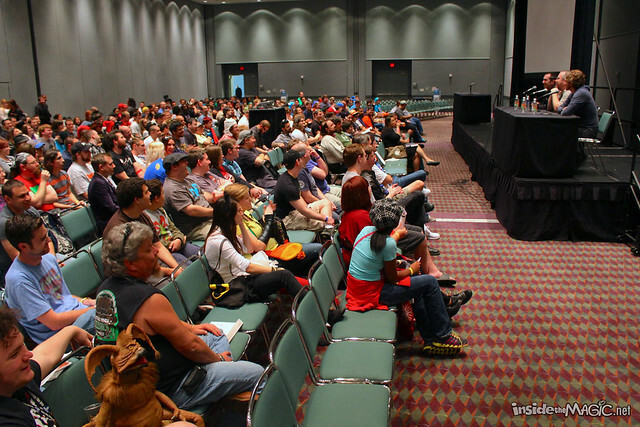 In partnership with MegaCon, photographer Michael Gavin and I were given access to every panel and presentation throughout the weekend. 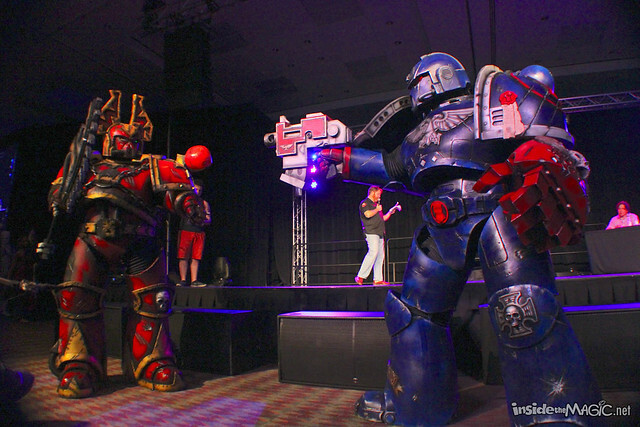 Below are video and photo highlights from all three days of the event that this year for one day impressively approached attendance levels of San Diego Comic-Con. 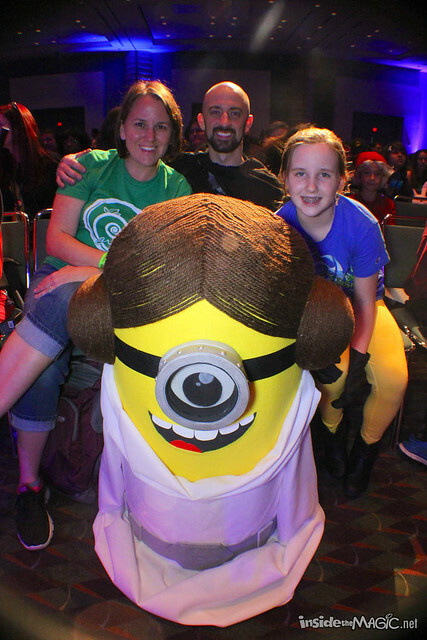 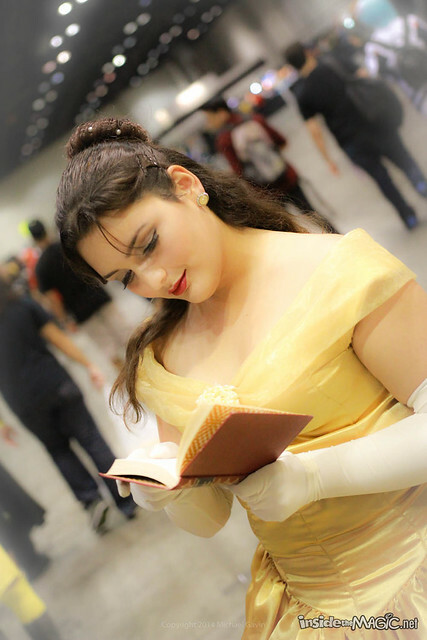 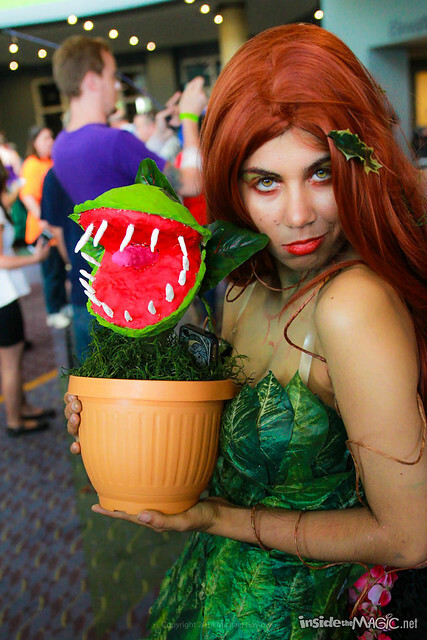 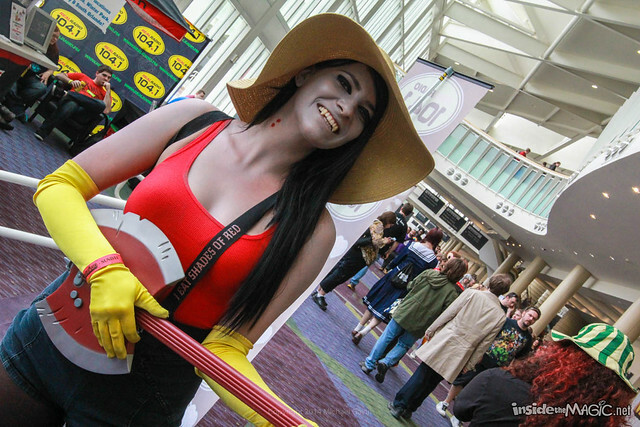 In addition to the many amazing Disney costumes we’ve already shown off from MegaCon attendees, the convention was filled with thousands of cosplayers posing for and endless stream of photos throughout. 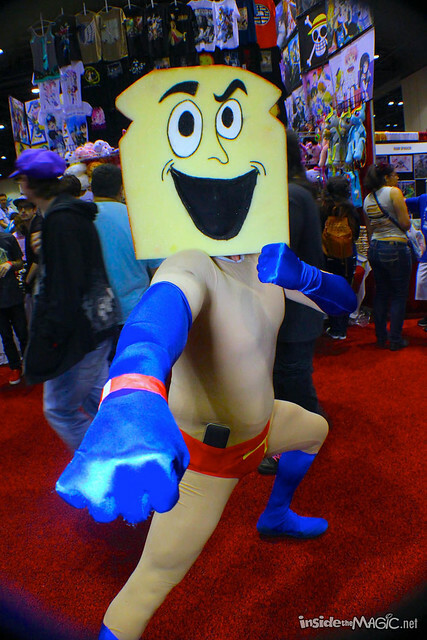 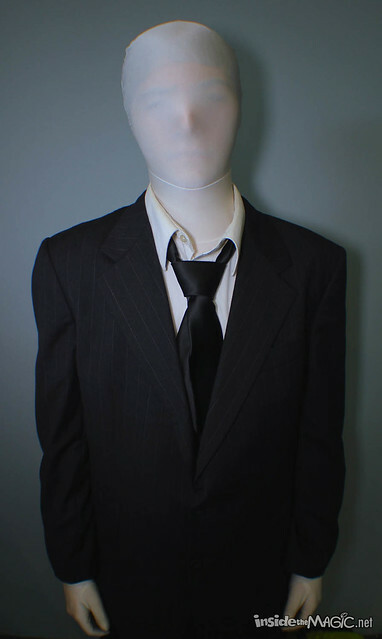 From Superman to Batman to Powdered Toastman to obscure anime and everything in between, there’s no end to the possibilities of cosplay. 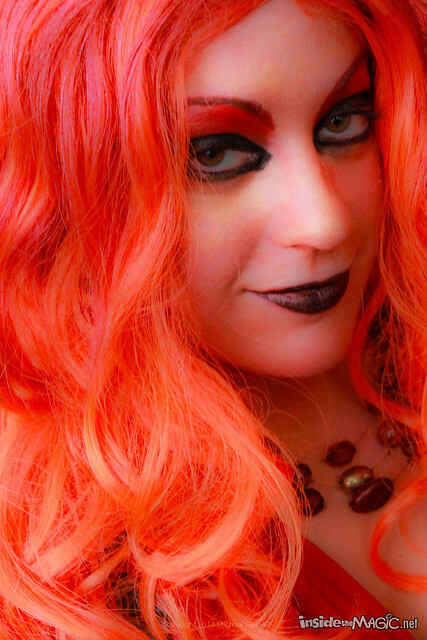 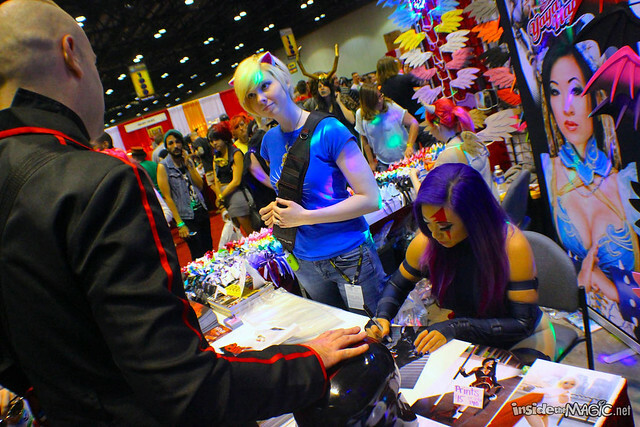 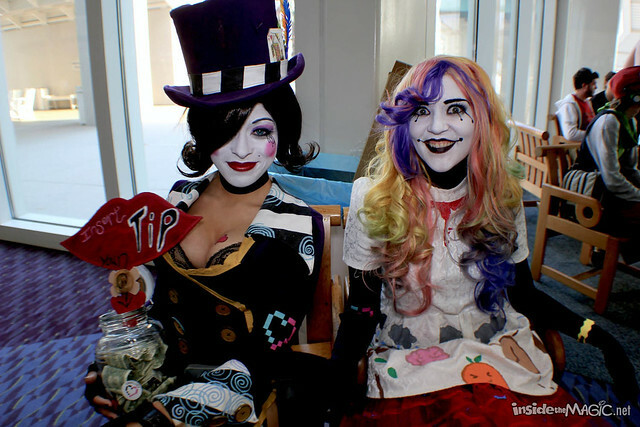 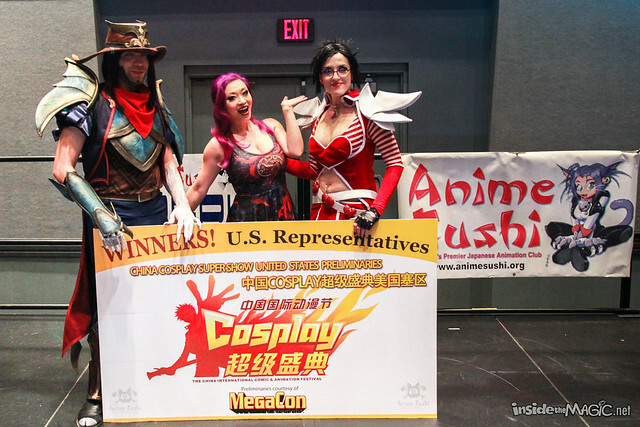 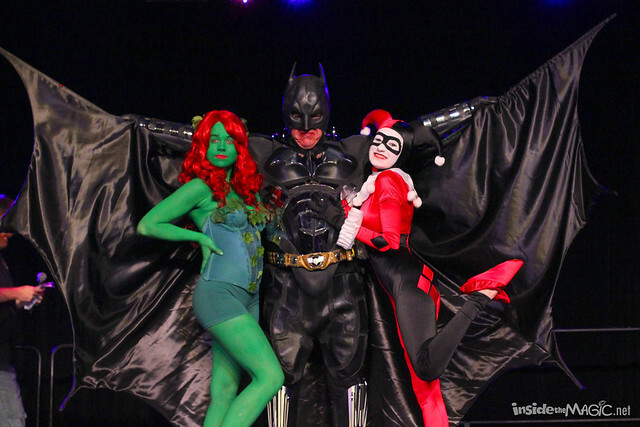 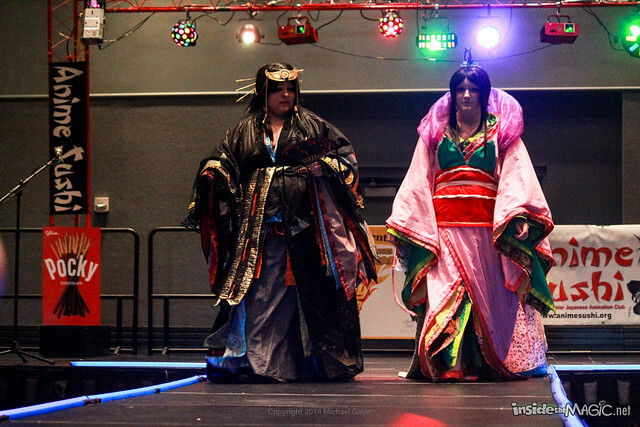 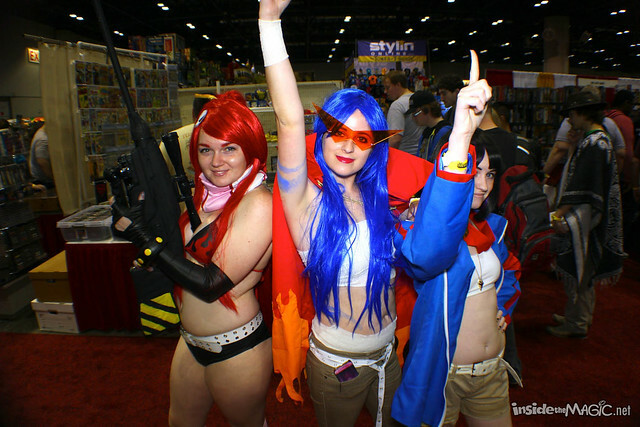 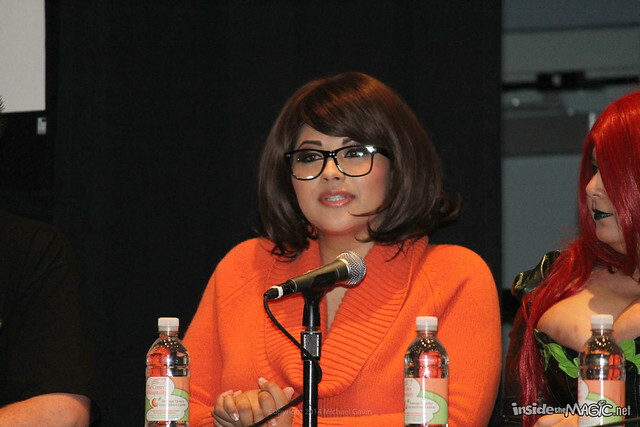 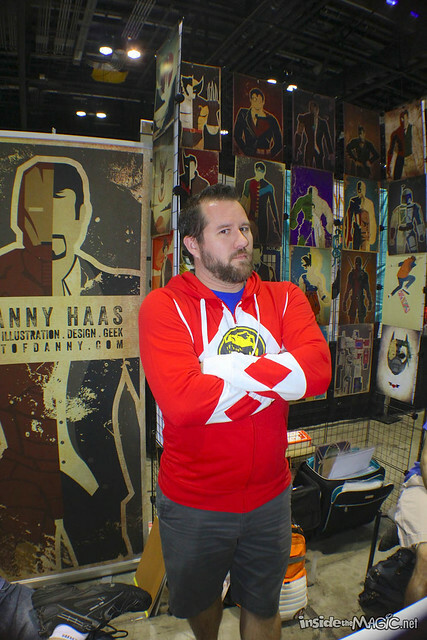 Some famous cosplayers were in attendance, including Yaya Han, Riddle, Ivy Doomkitty, and Kristen Hughey. 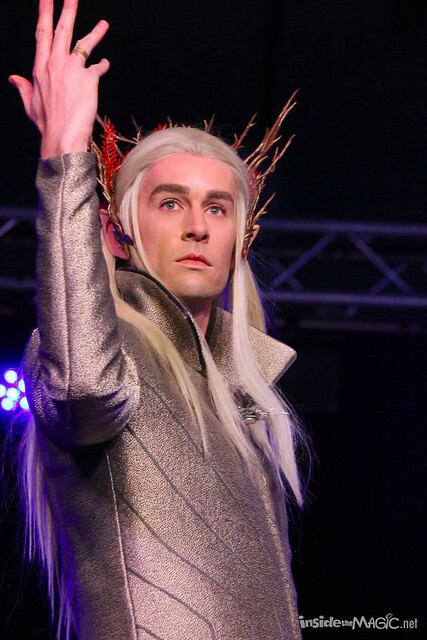 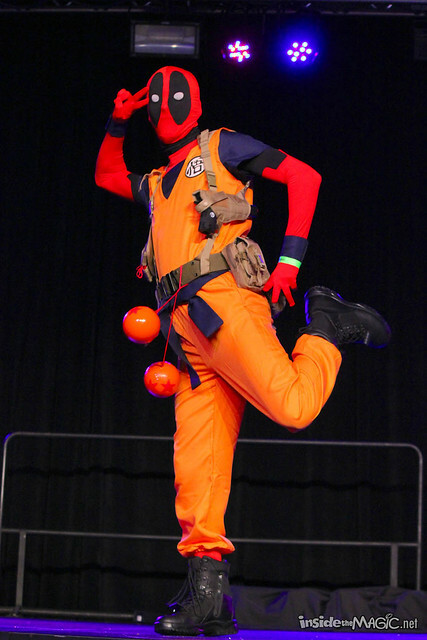 Below are just a few of our favorites that we photographed throughout the weekend, followed by a slideshow of the 800+ cosplay pictures we took. 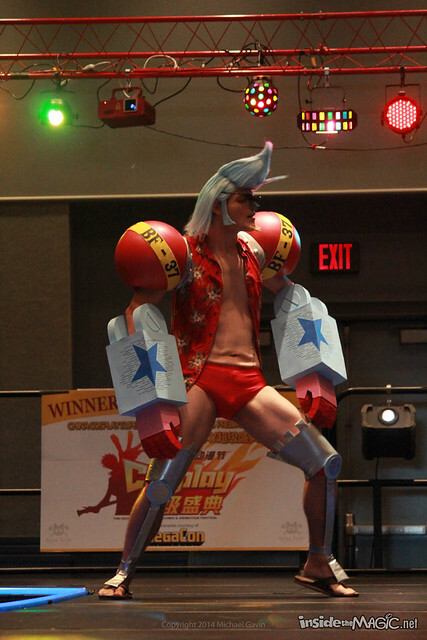 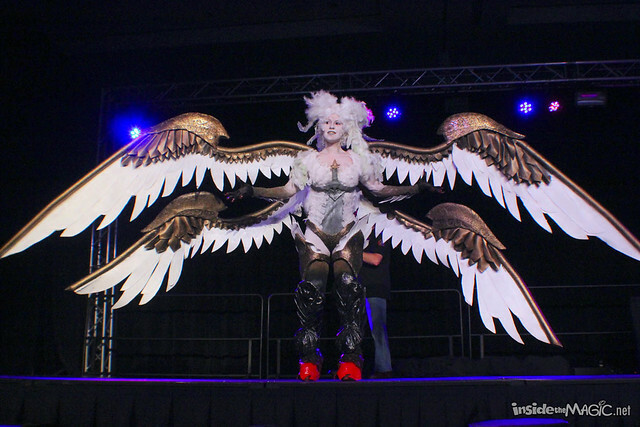 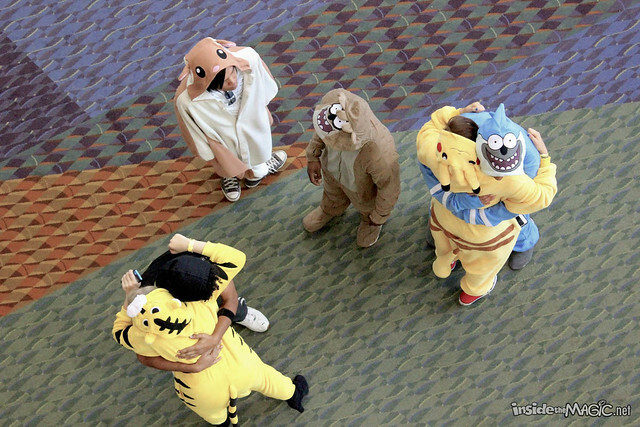 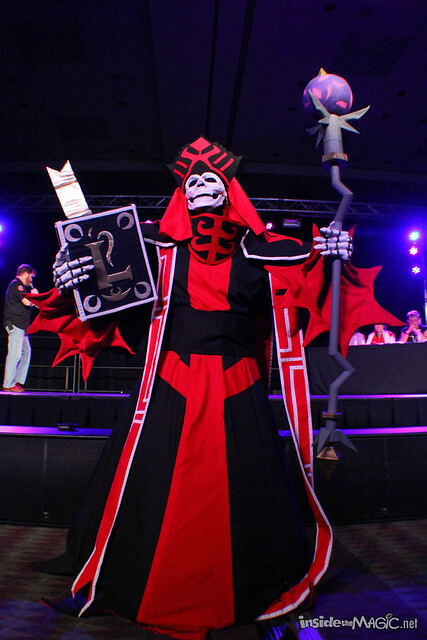 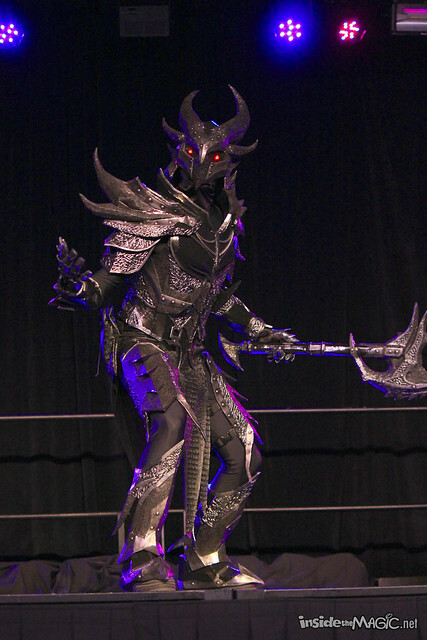 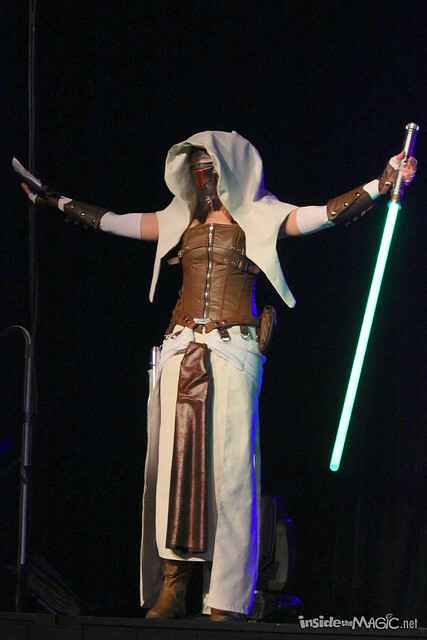 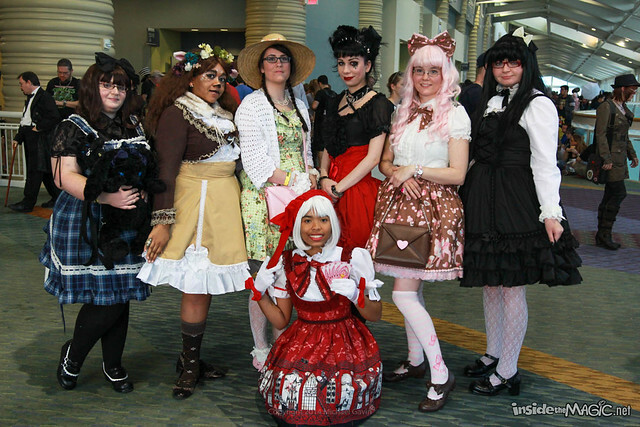 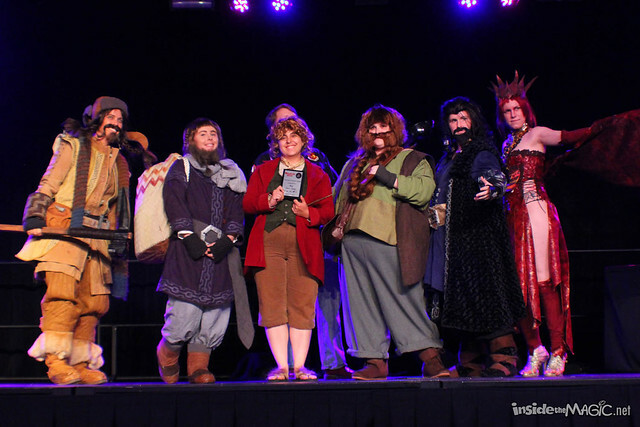 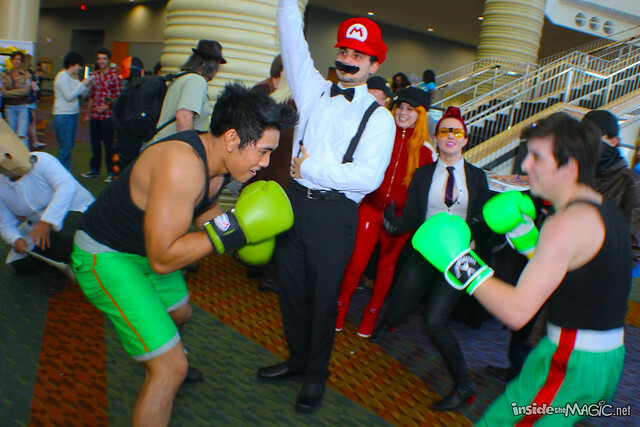 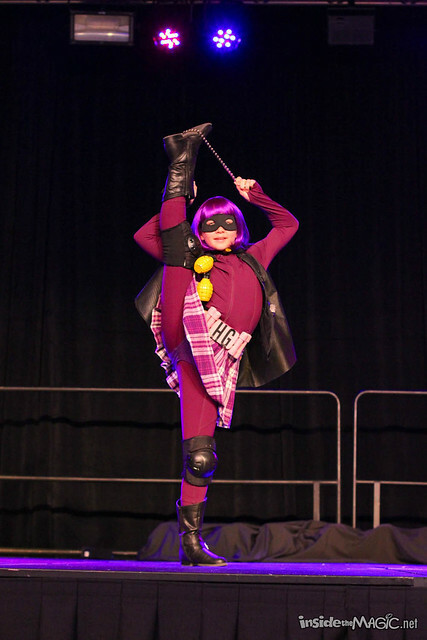 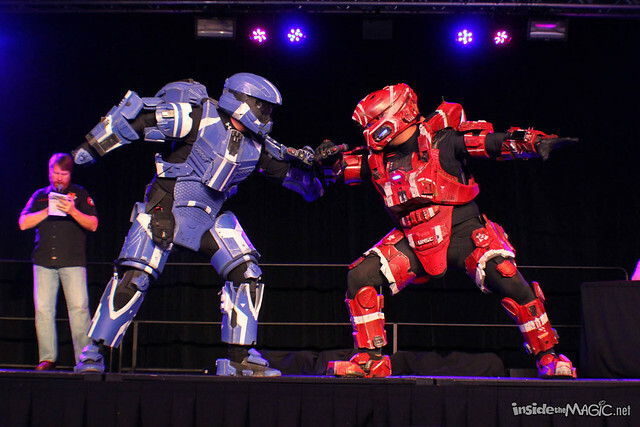 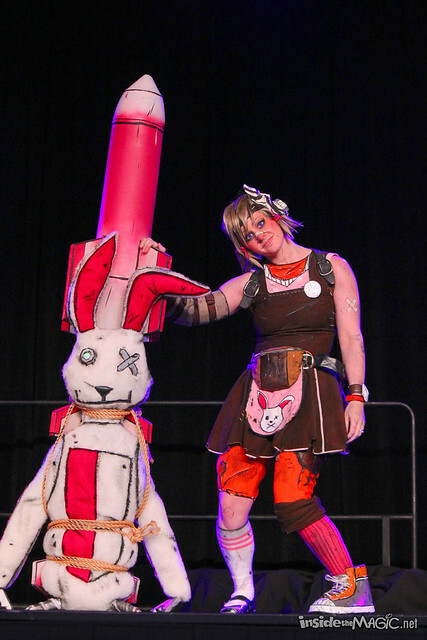 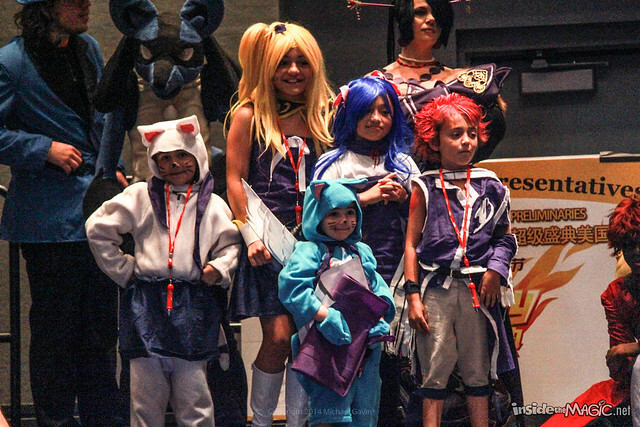 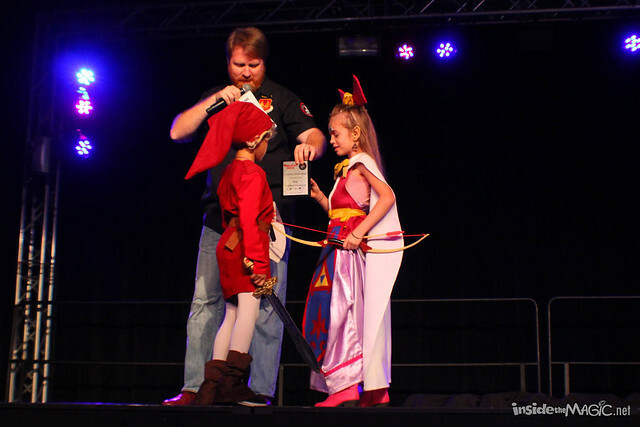 MegaCon also hosted two separate major costume contests simultaneously, one specifically for anime and one catch-all for everything else, to showcase the best of the best and hand out some prizes. 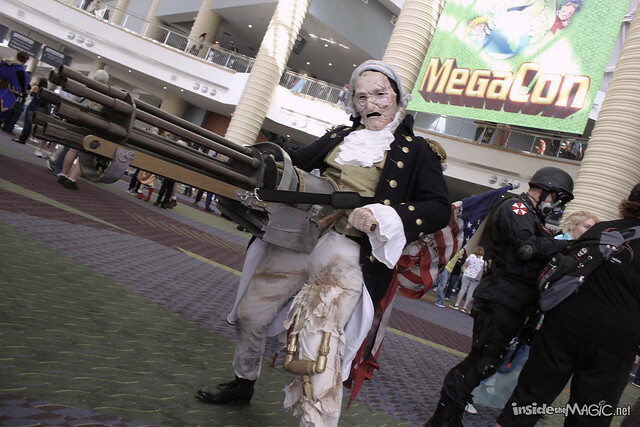 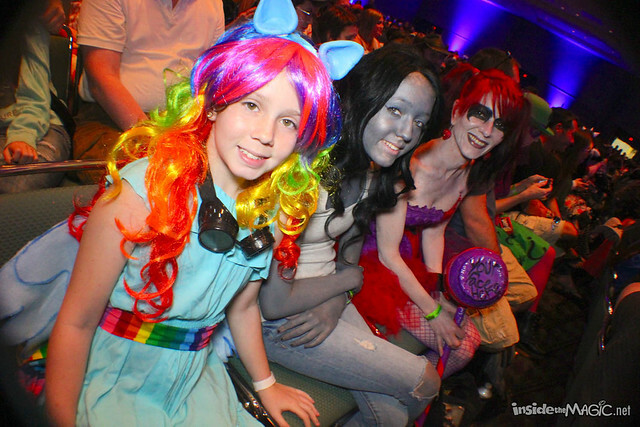 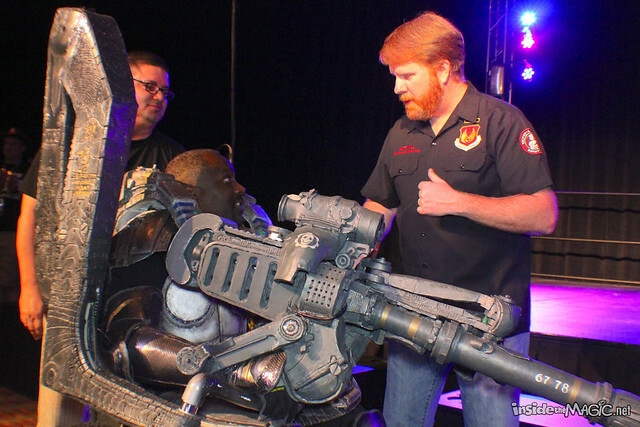 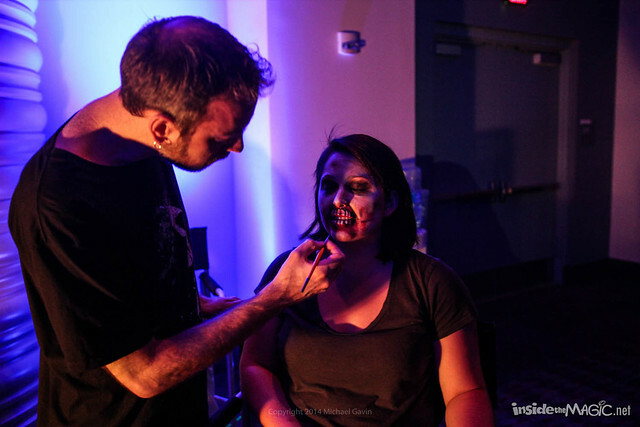 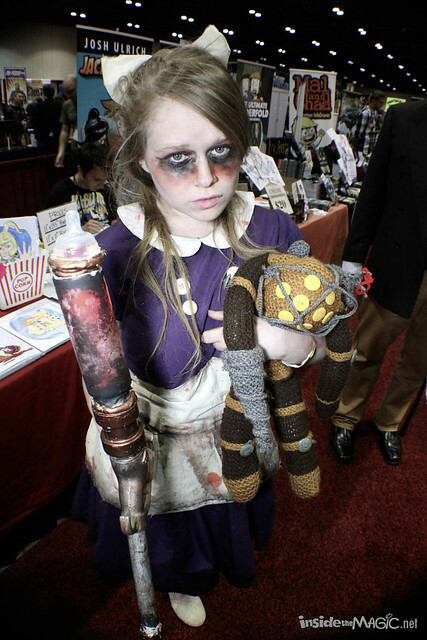 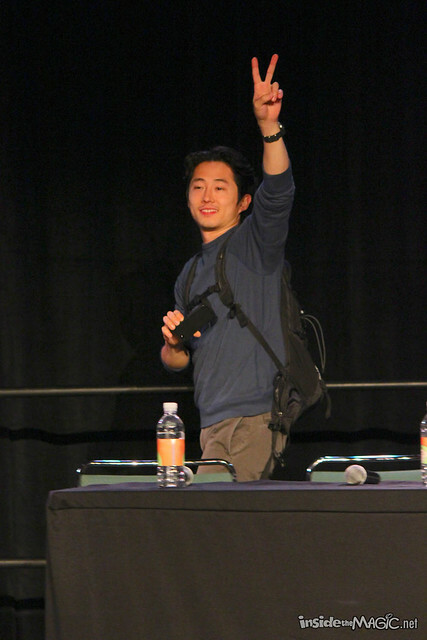 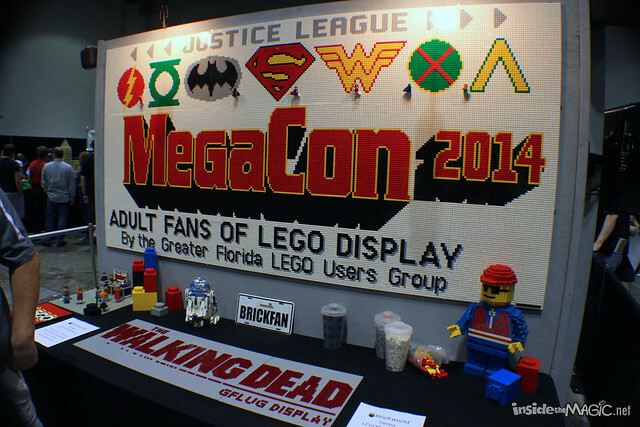 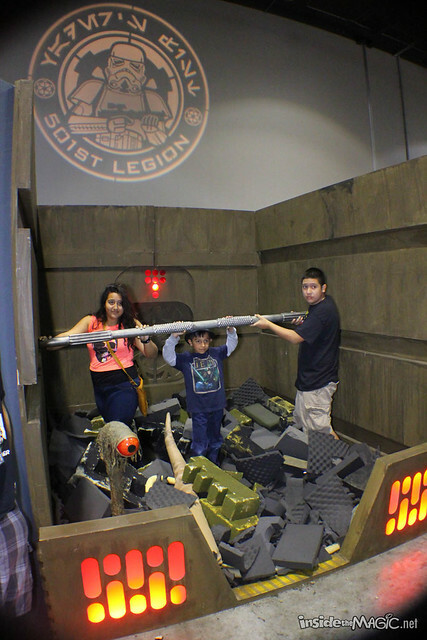 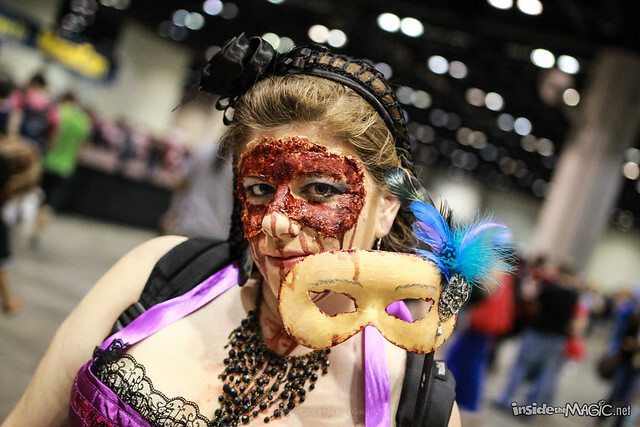 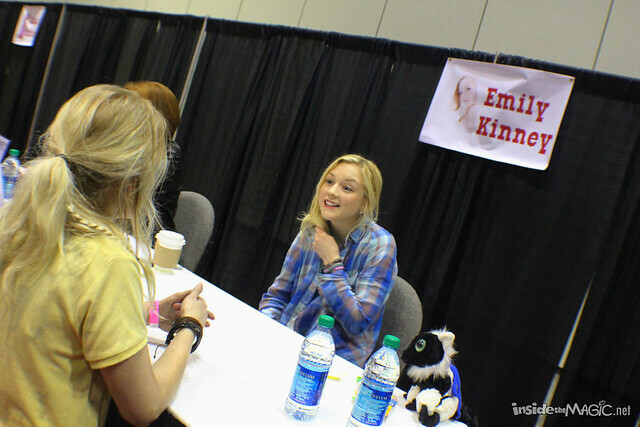 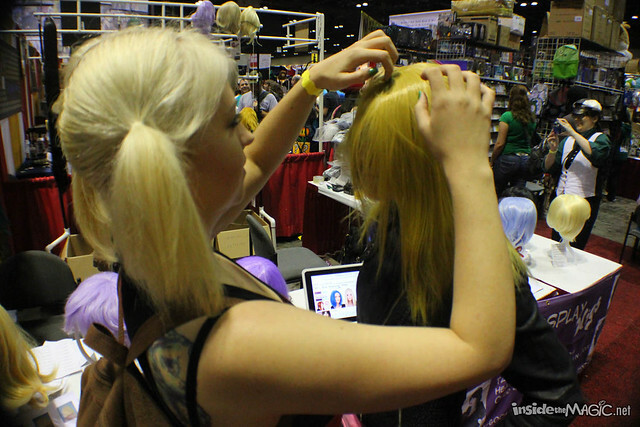 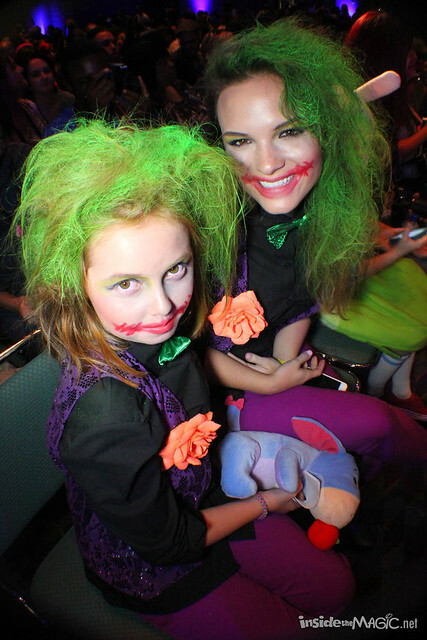 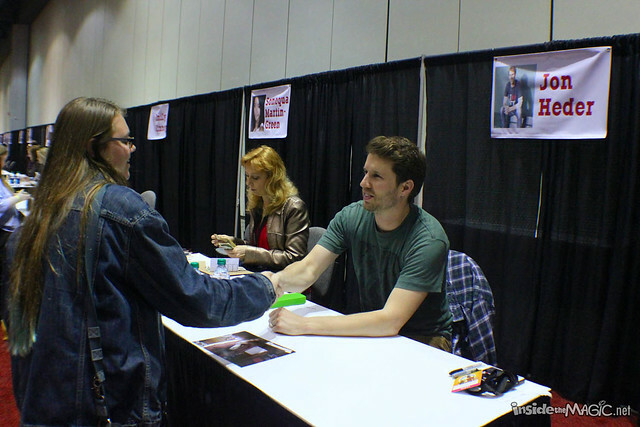 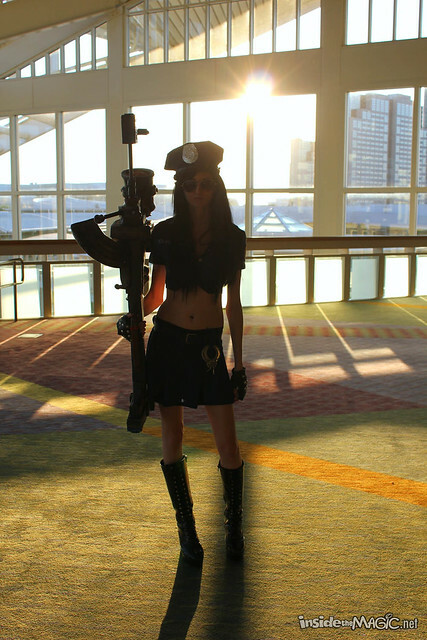 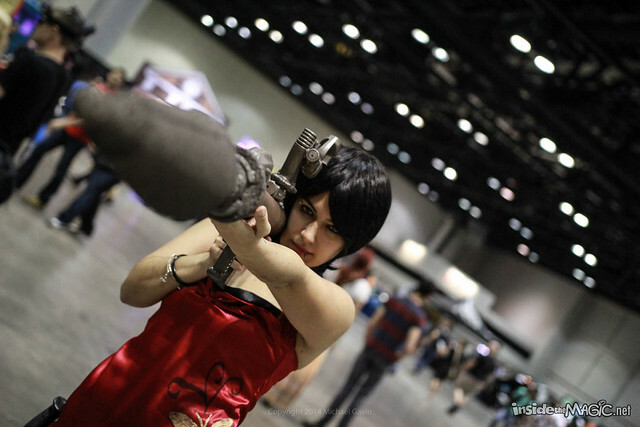 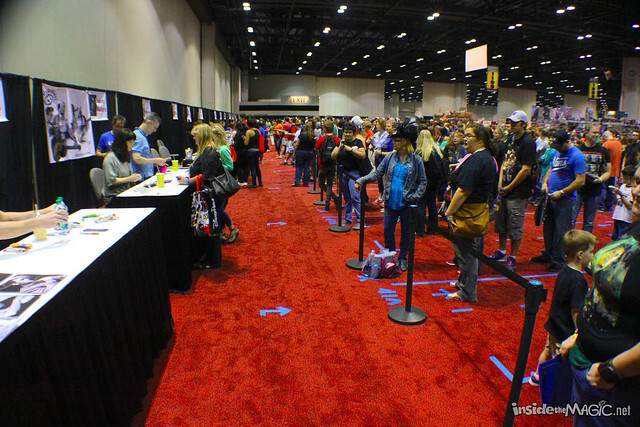 The special presentations of MegaCon 2014 were packed throughout the weekend, particularly on Saturday where long lines of hundreds of attendees were turned away from popular panels like the cast of “The Walking Dead” as rooms filled up fast. 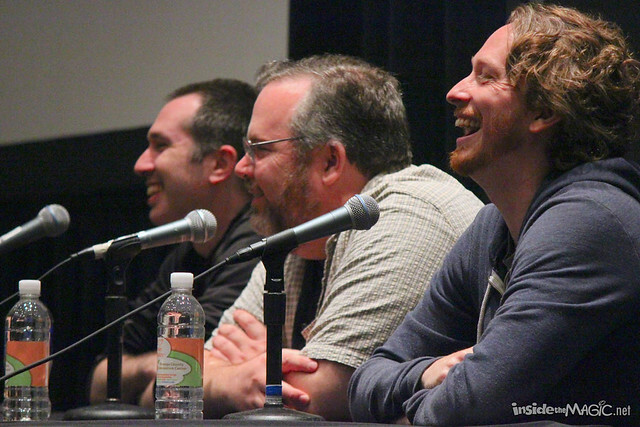 But those who did get in were treated to hours of entertainment, information, and a whole lot of laughs. 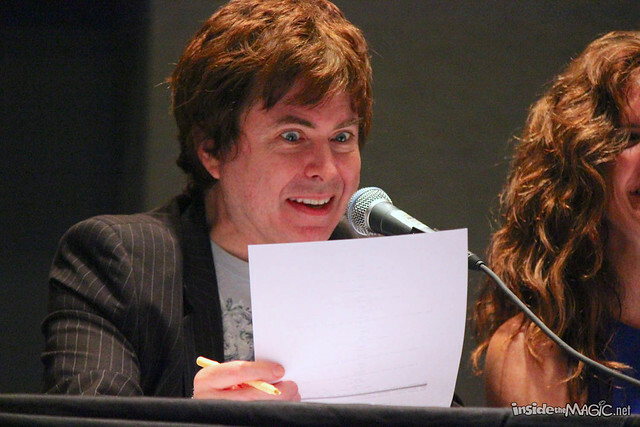 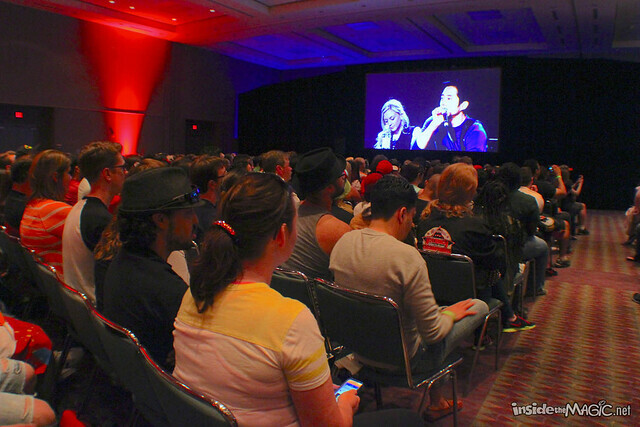 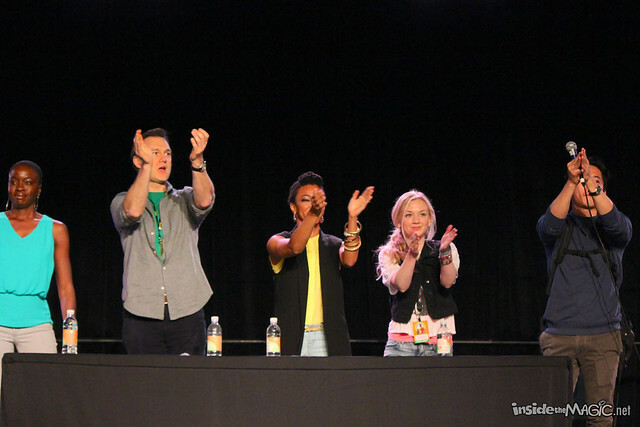 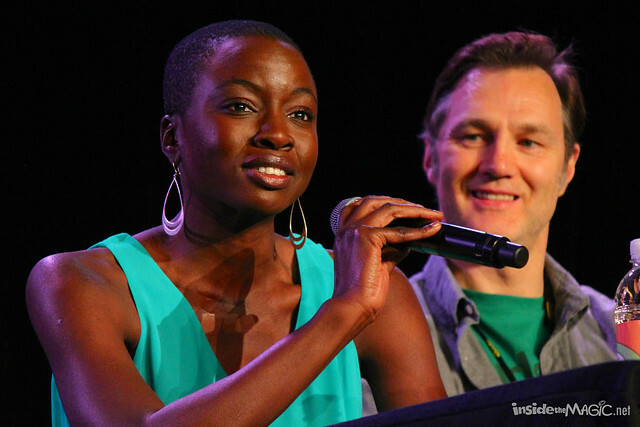 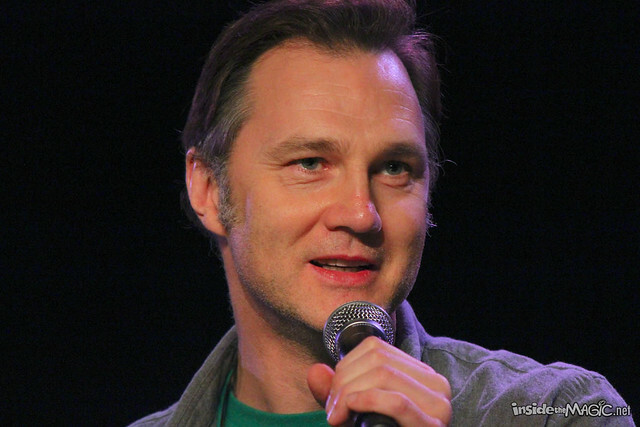 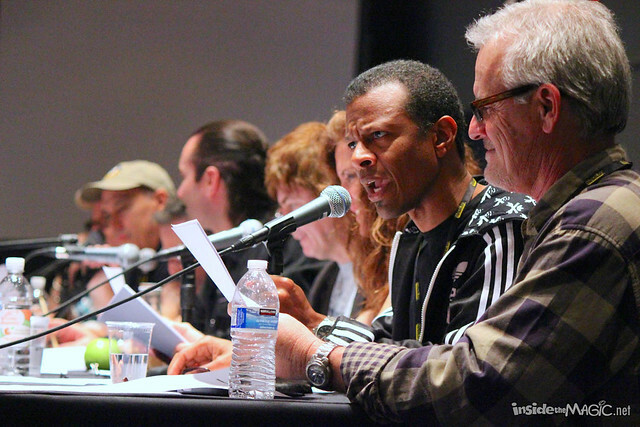 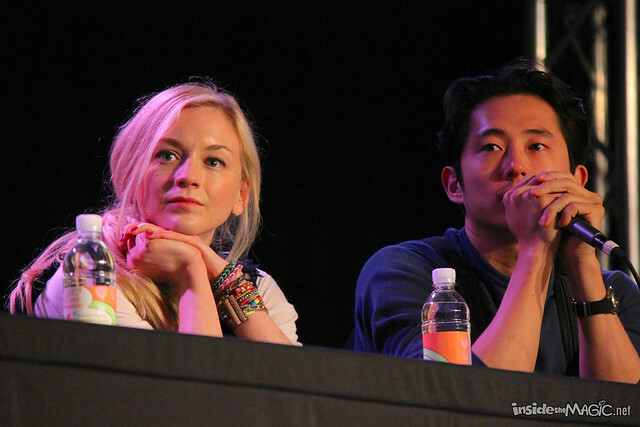 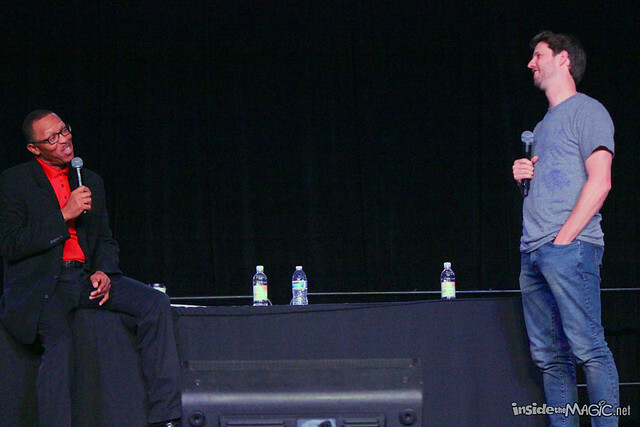 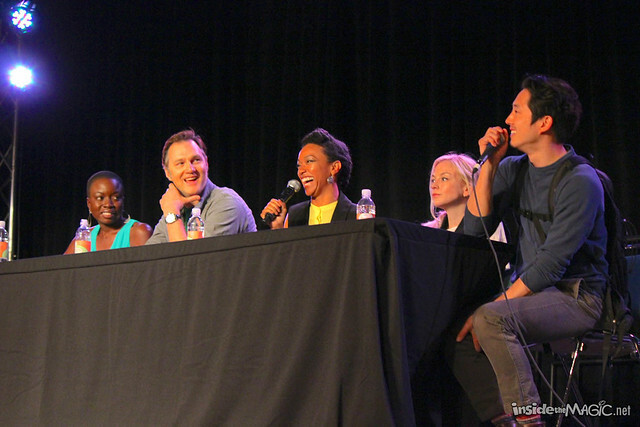 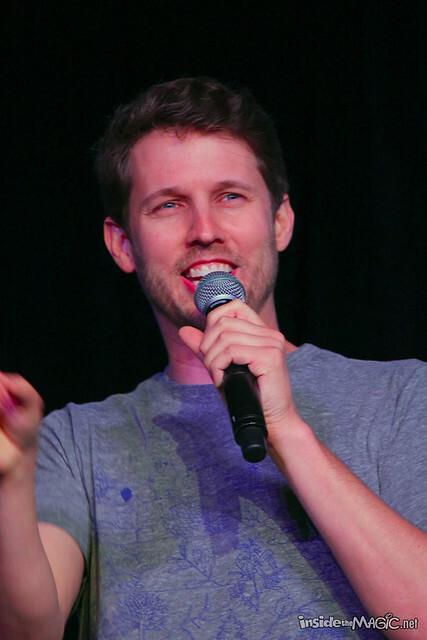 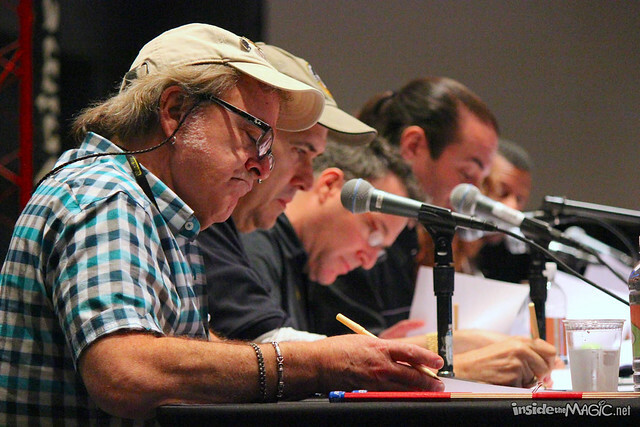 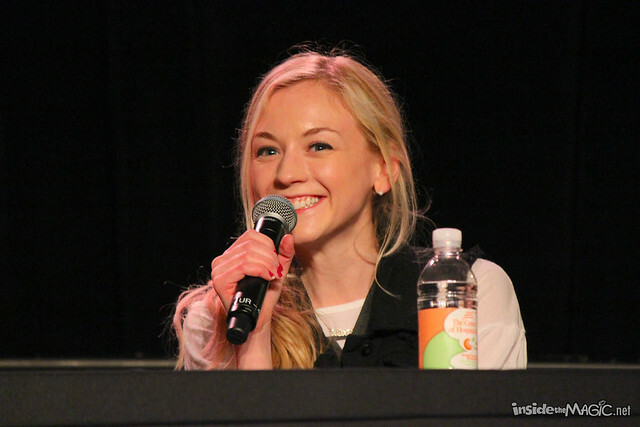 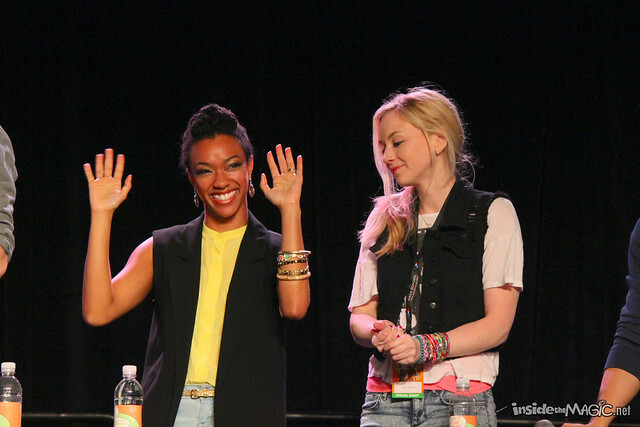 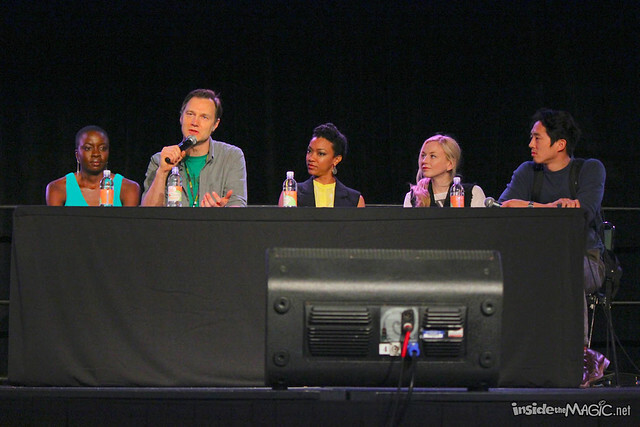 For those who couldn’t make it into “The Walking Dead” panel, we have a full video of it below. 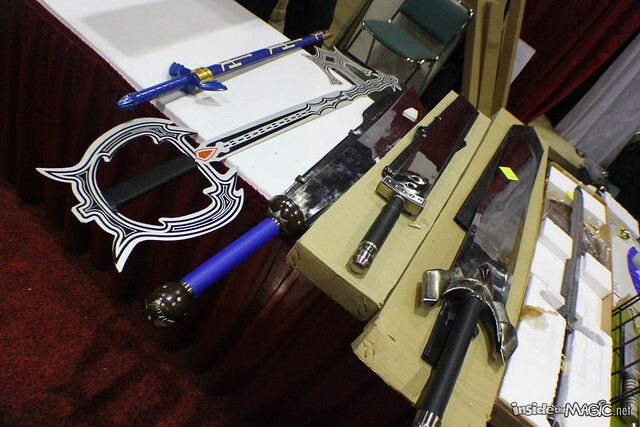 And don’t worry, they didn’t reveal any spoilers. 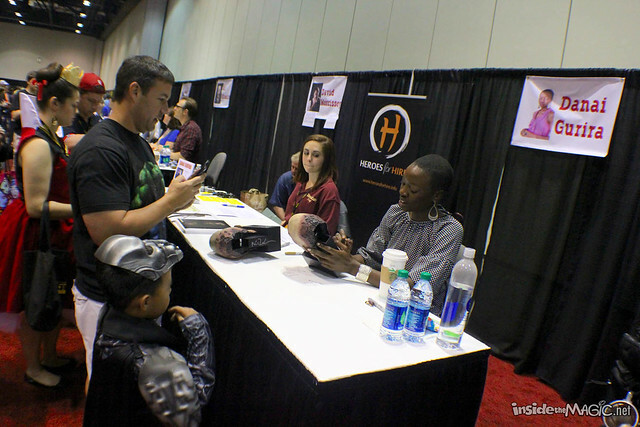 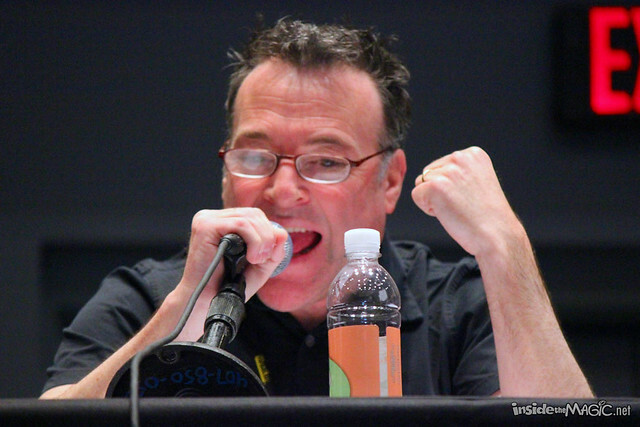 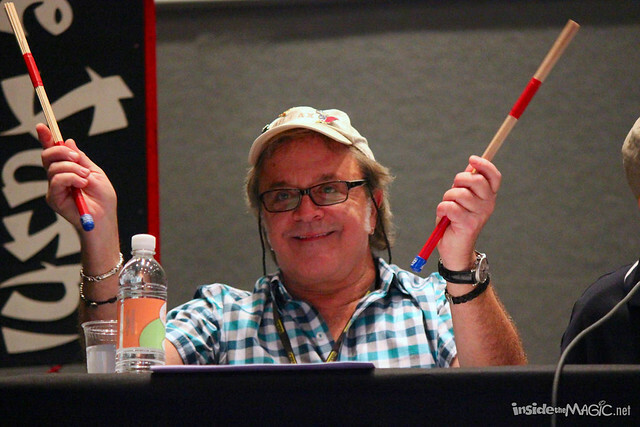 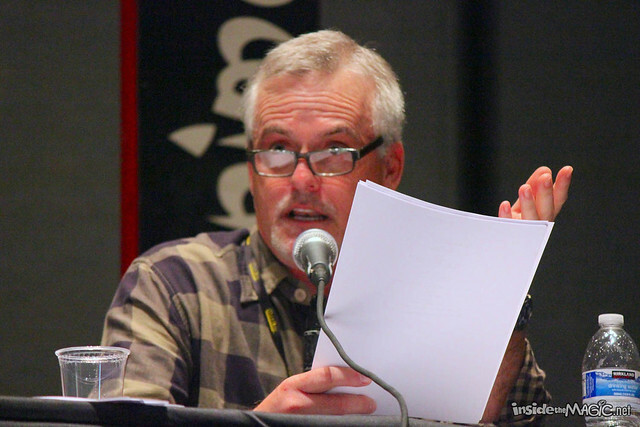 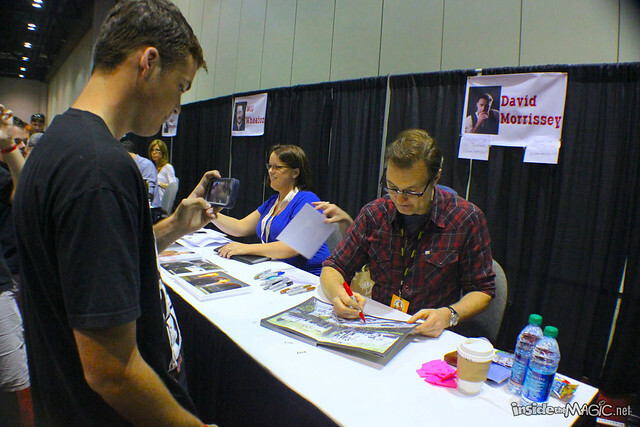 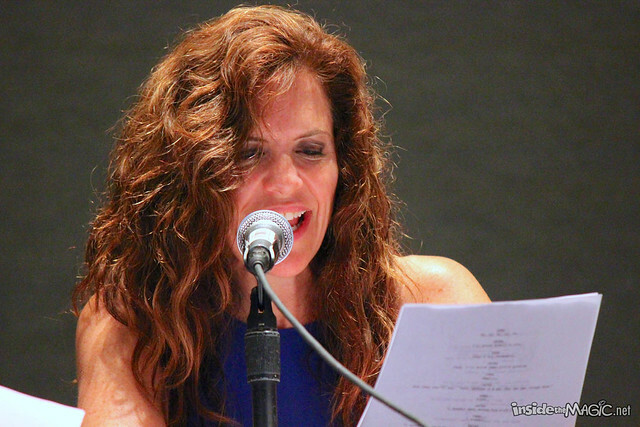 Beyond “The Walking Dead,” another highlight of MegaCon was some of the industry’s top voice actors reading the entire “Ghostbusters” movie script, changing up their voices for each scene. 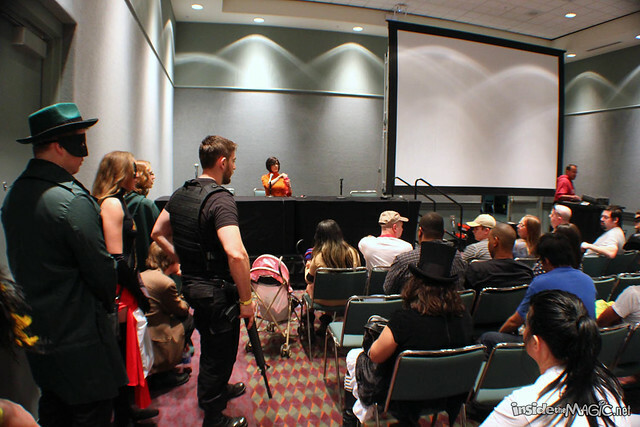 Tigger, Winnie the Pooh, Darkwing Duck, Arnold Schwarzenegger, Christopher Walking, Invader Zim, Cinderella, and Donatello, are just a few of the many character voices that were hilariously voiced during this entertaining presentation, highlights of which can be seen in the video below. 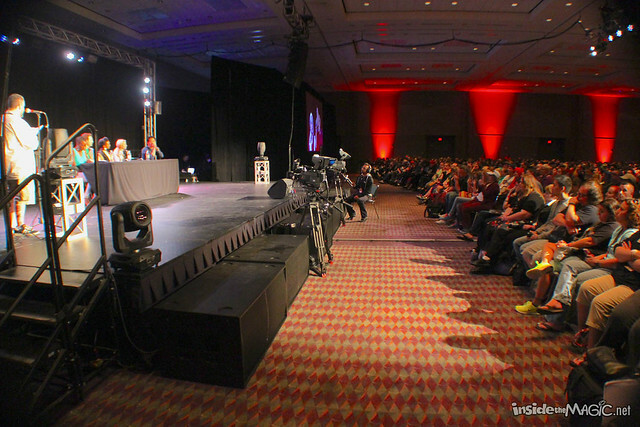 Unfortunately we do not have the full presentation on video, as we had to hop around to a few different panels and events to photograph overlapping with this one, but the group did select a costumed audience member to man a front-and-center camera (next to mine) to record the whole event, which they said would eventually be up on YouTube. 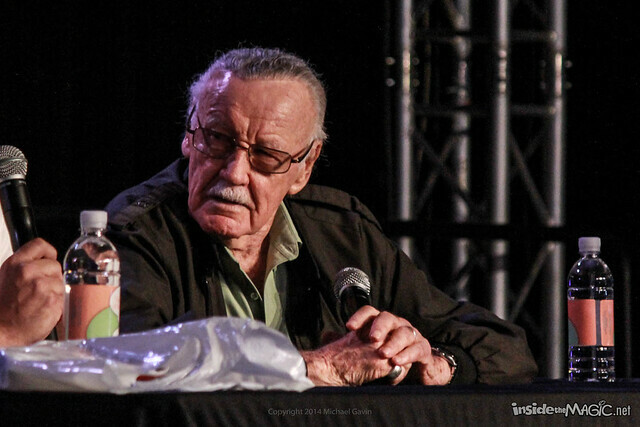 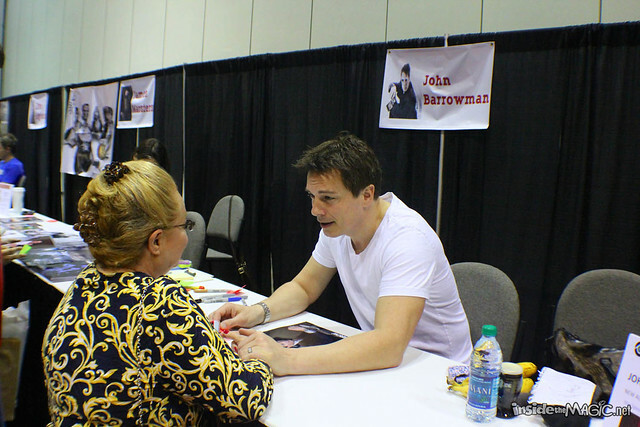 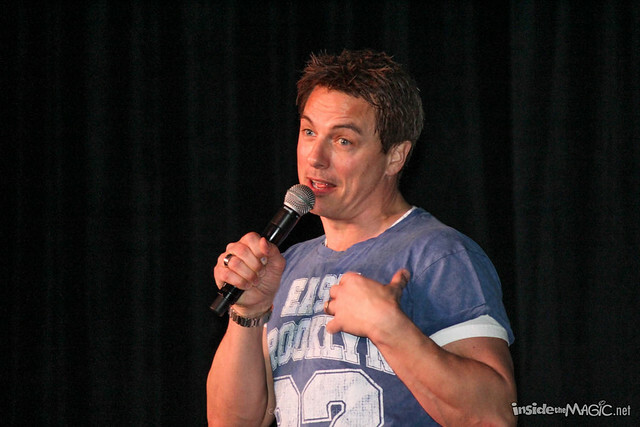 Other highlights throughout the weekend included presentations from Stan Lee, John Barrowman (with and without the cast of “Torchwood”), the cast of “Smallville,” James Marsters (from “Buffy the Vampire Slayer”), “Robot Chicken” creators, famous cosplayers, Six Degrees Improv, and many more. 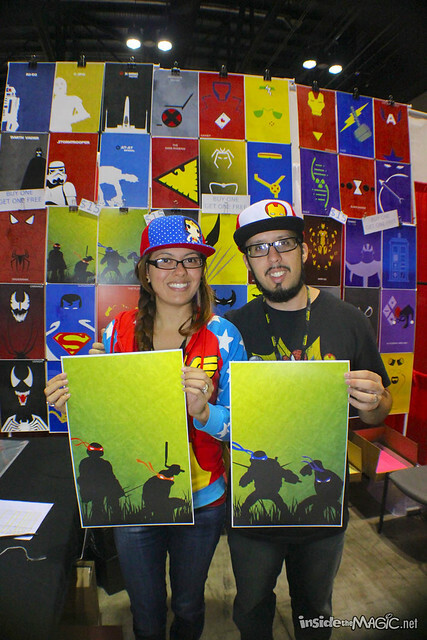 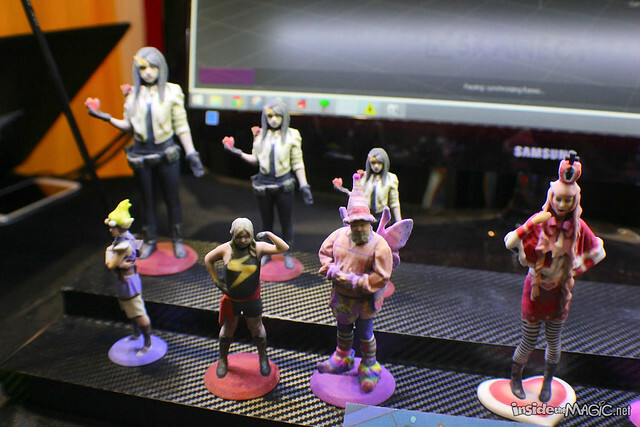 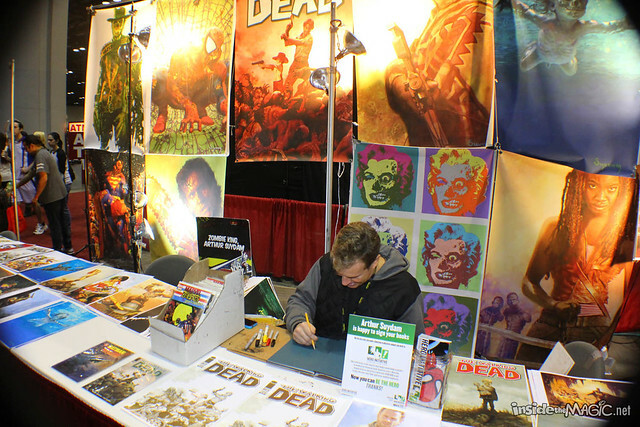 Throughout the show floor, exhibitors sold unique merchandise while artists displayed their works as well as commissioned custom creations. 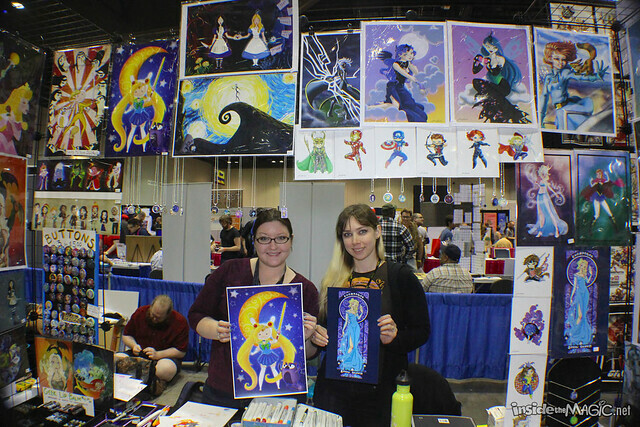 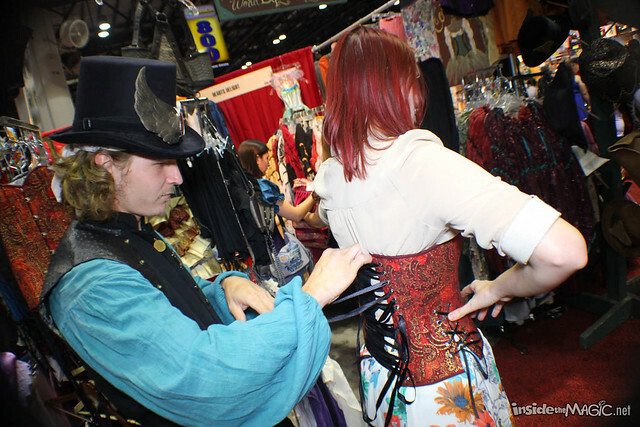 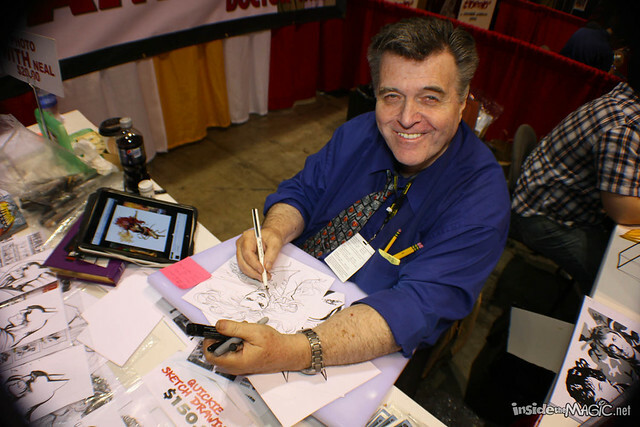 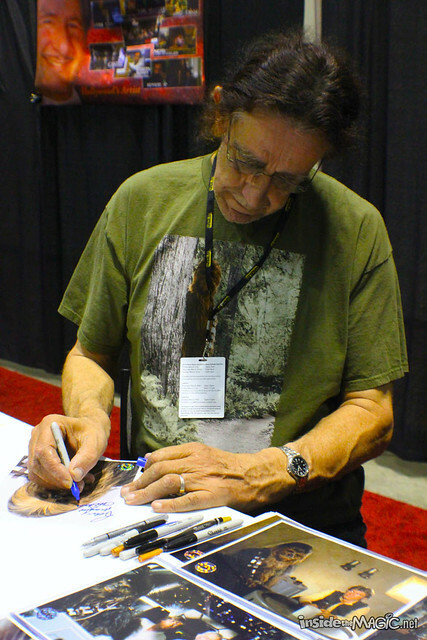 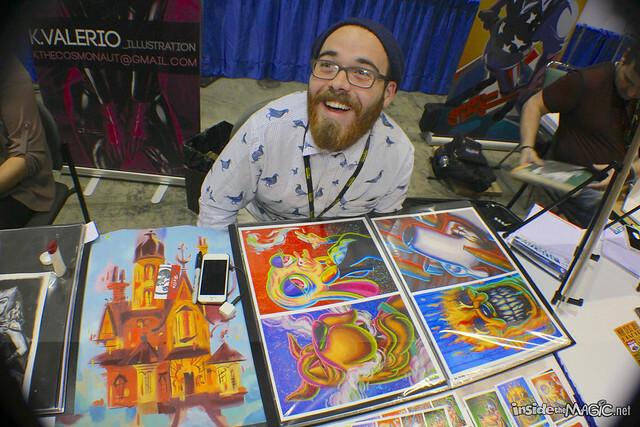 The level of talent found throughout Artist’s Alley is tremendous, consistently one of the most popular areas of the convention. 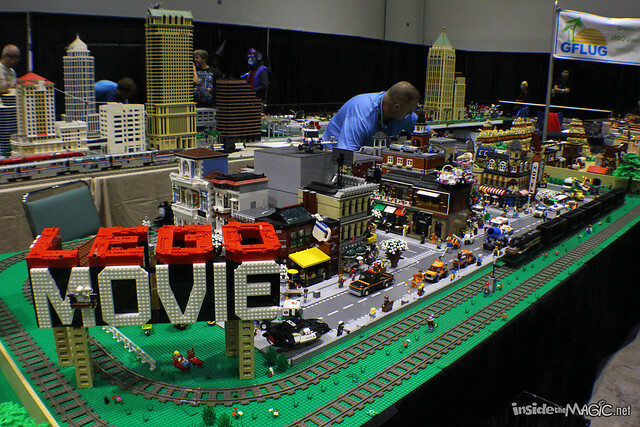 Plus, there was a huge themed LEGO display, an area for Star Wars photo opportunities, and ample chances to meet and get pictures with and autographs from celebrities. 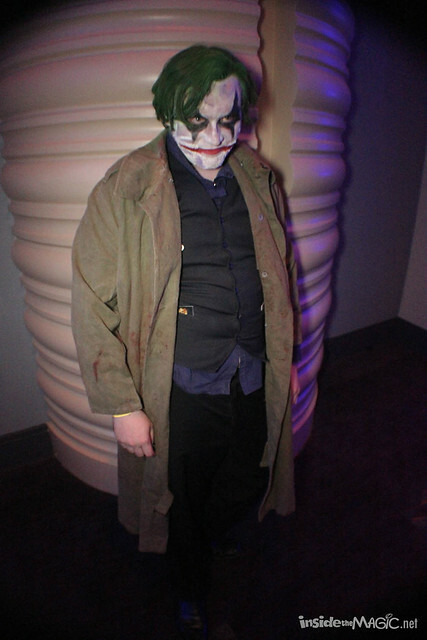 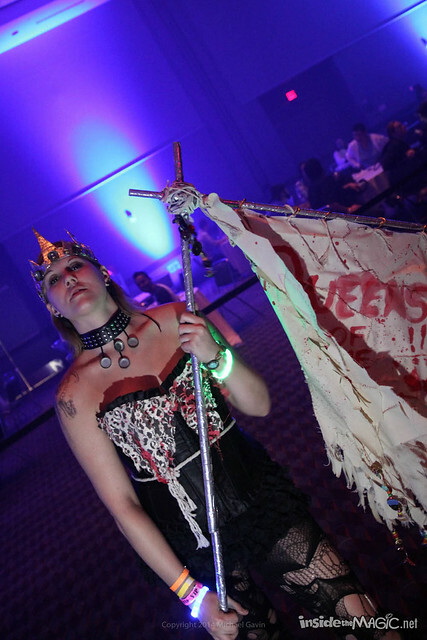 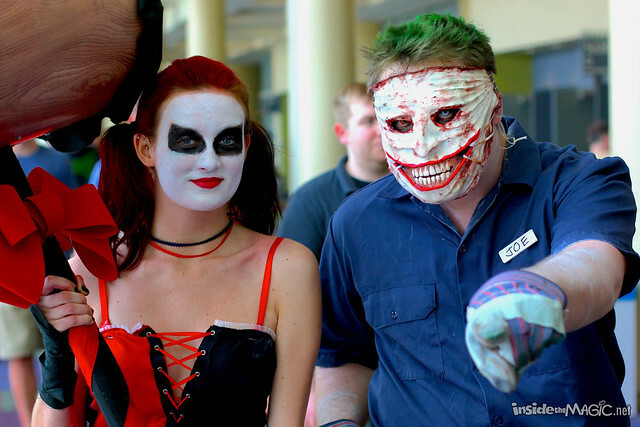 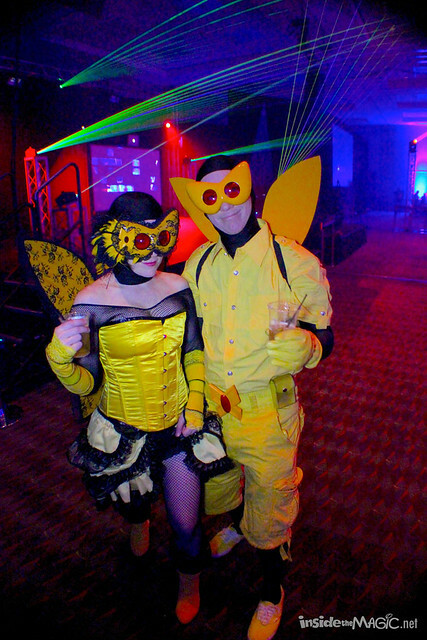 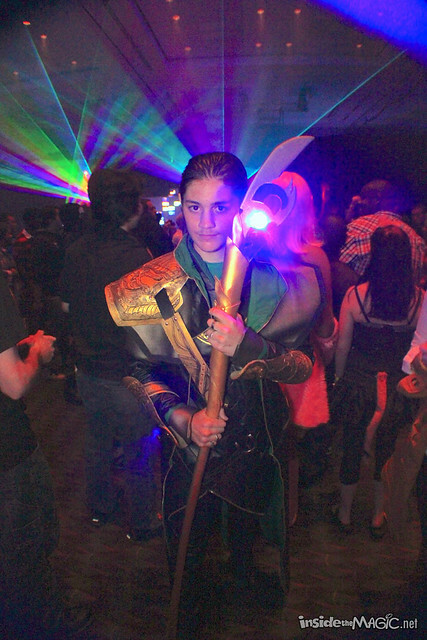 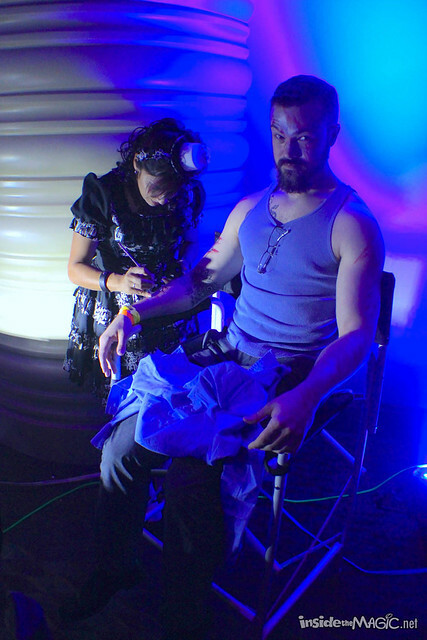 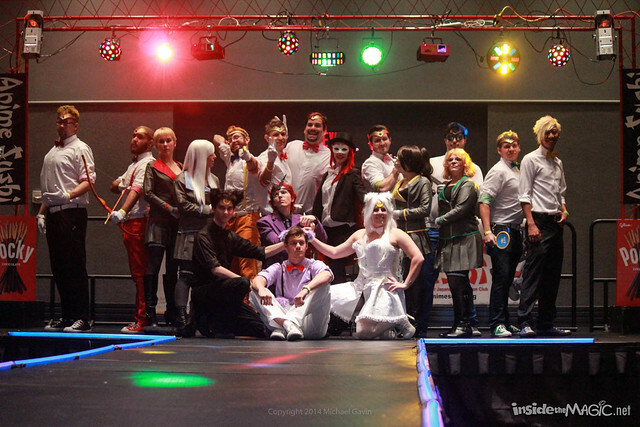 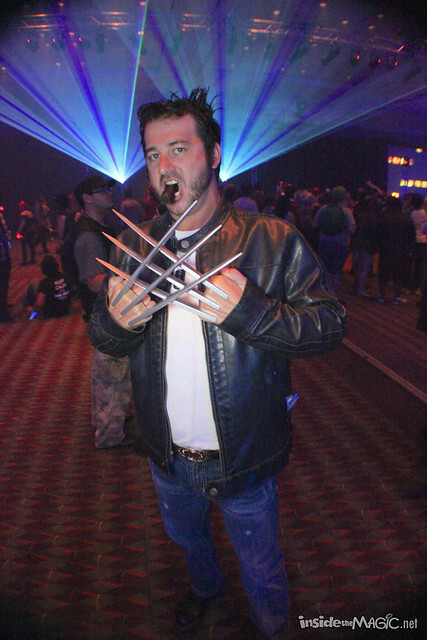 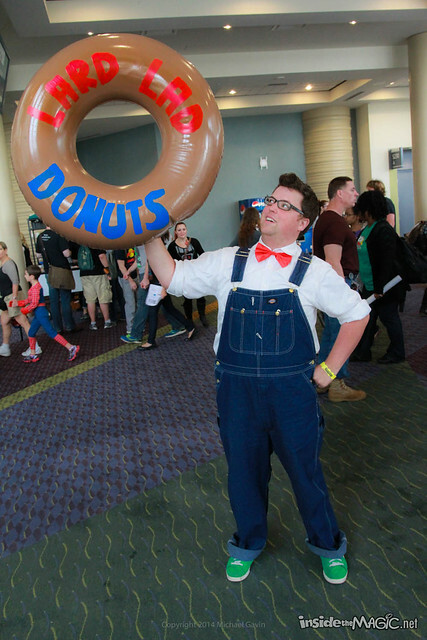 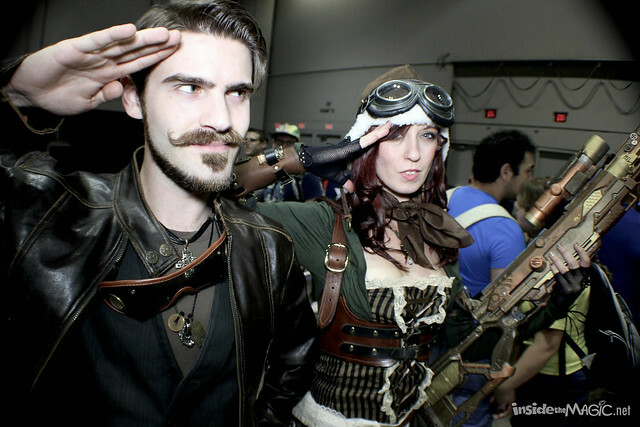 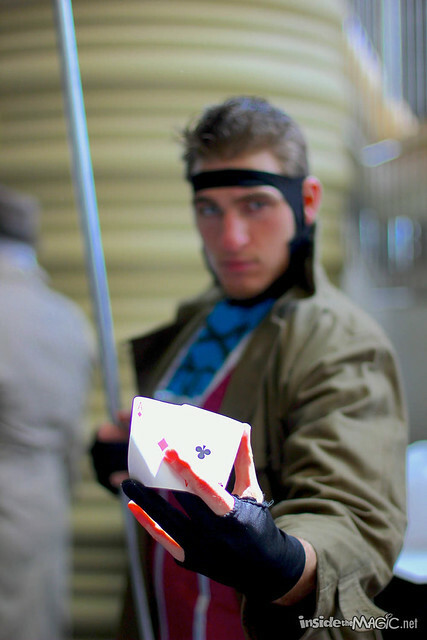 Even after regular MegaCon hours ended, Friday and Saturday nights offered elaborately themed parties throughout the area. 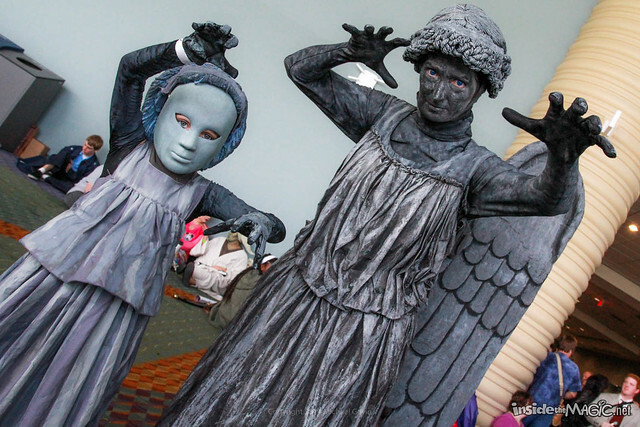 We’ll have coverage of two of the off-property, adults-only themed events coming up soon on Outside the Magic, so keep checking back for those! 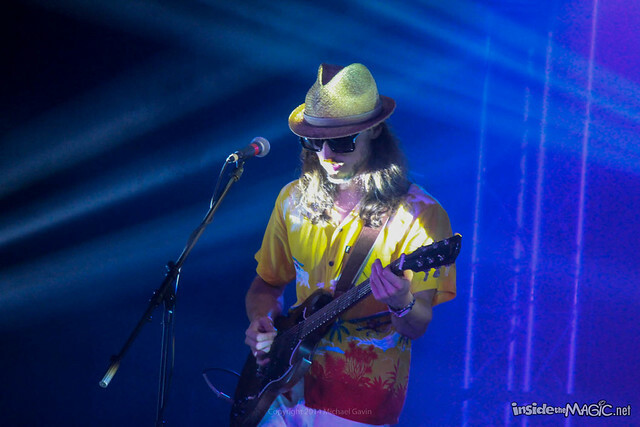 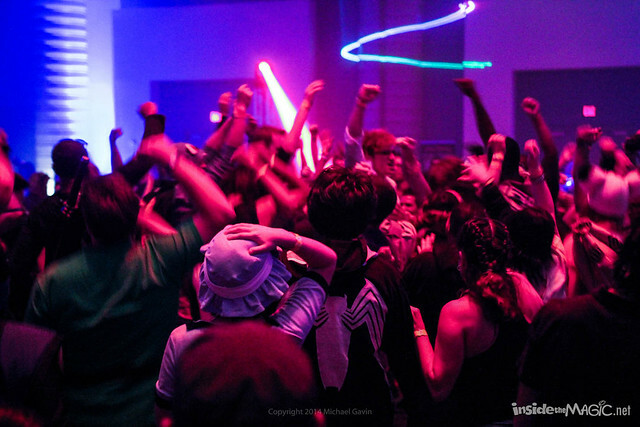 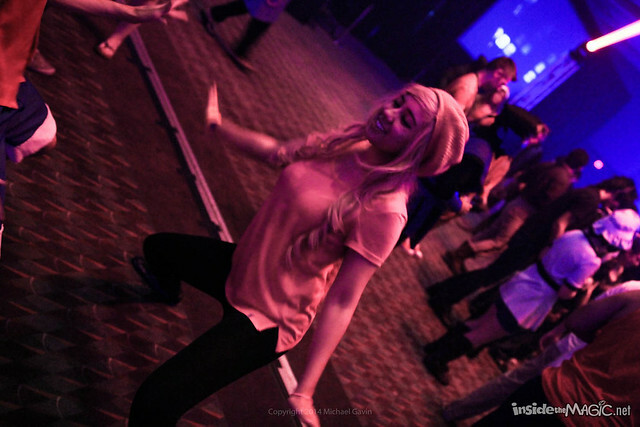 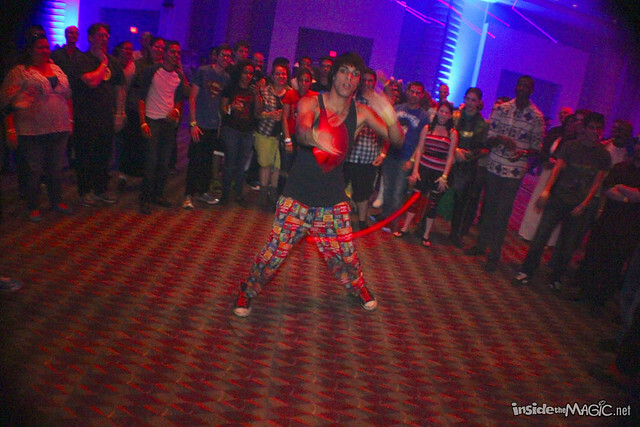 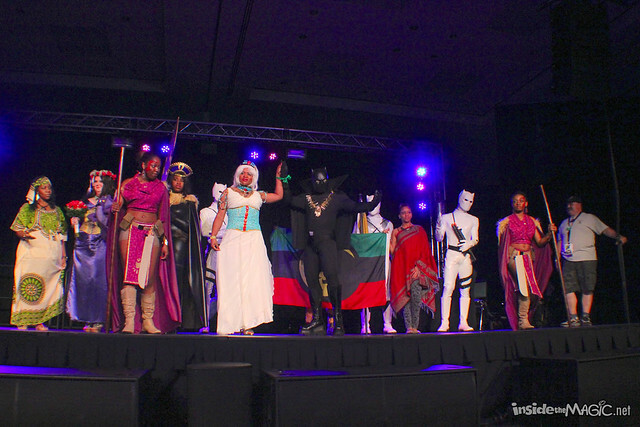 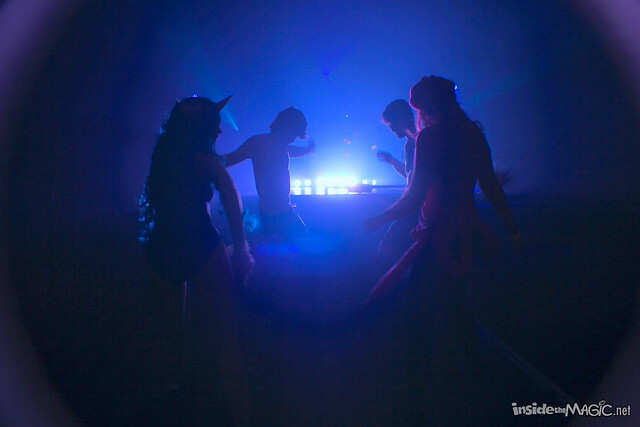 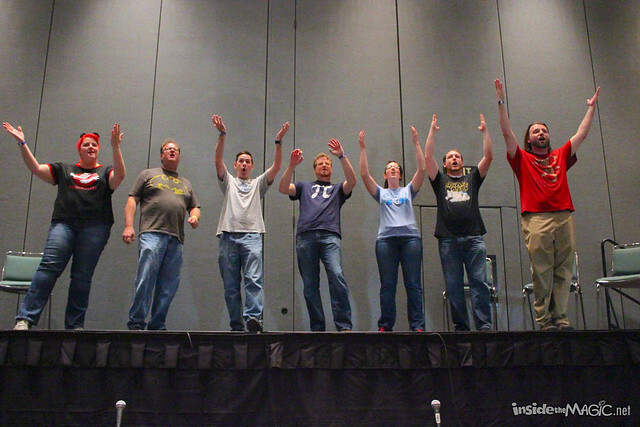 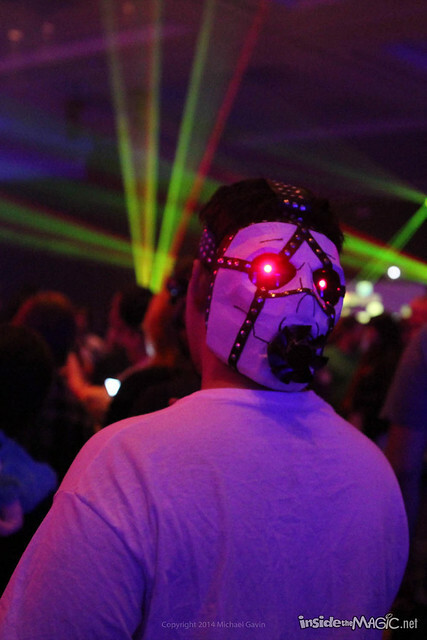 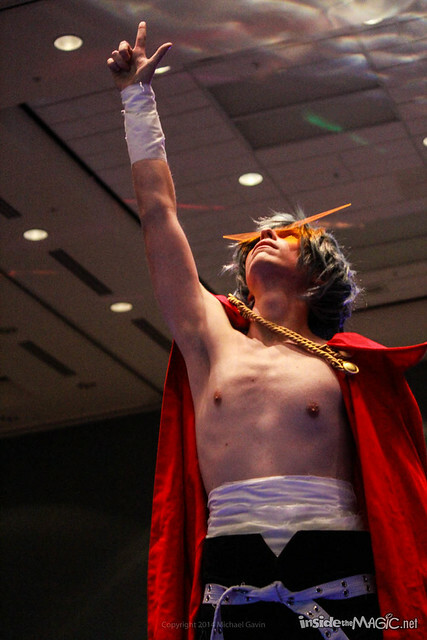 On Friday night, MegaCon hosted the Cosmos dance party in one of the convention center’s ballrooms, blasting dance music for a chance to unwind at the end of a long first day. 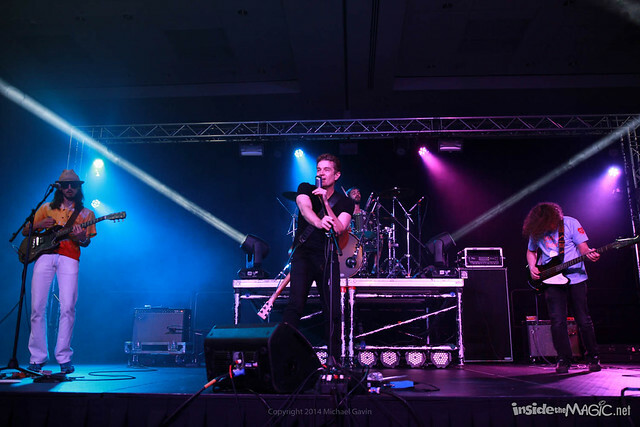 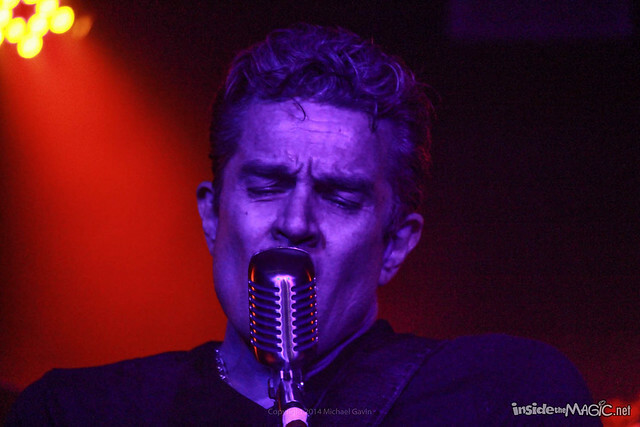 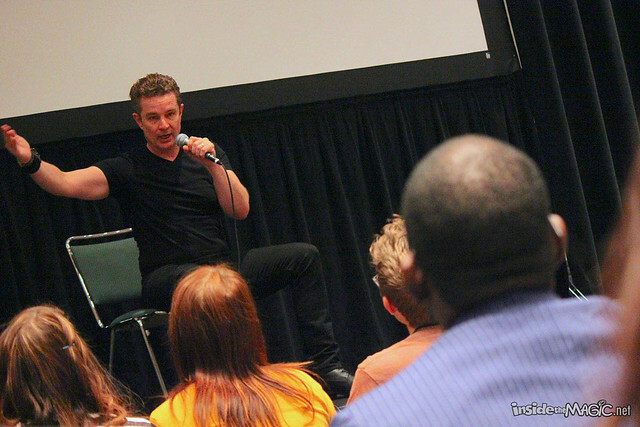 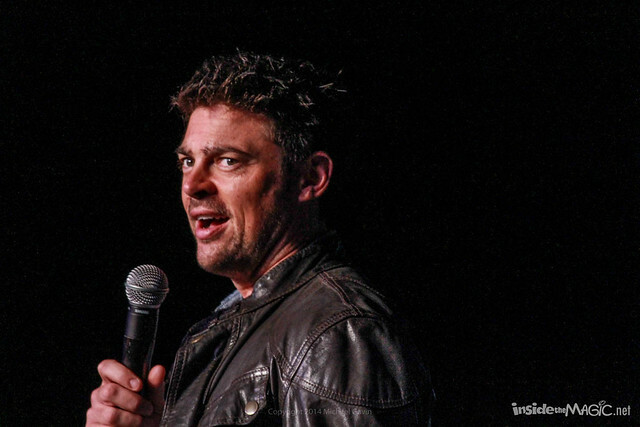 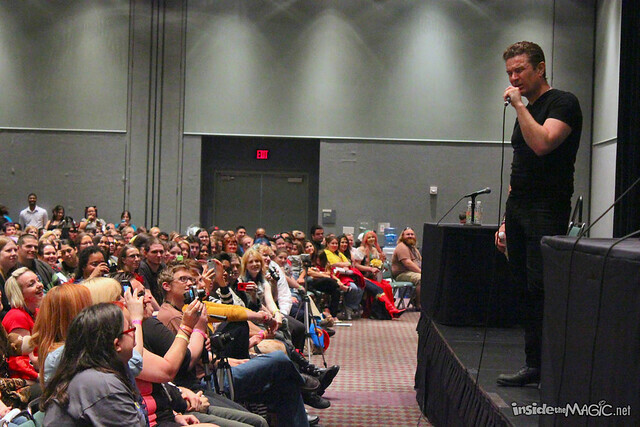 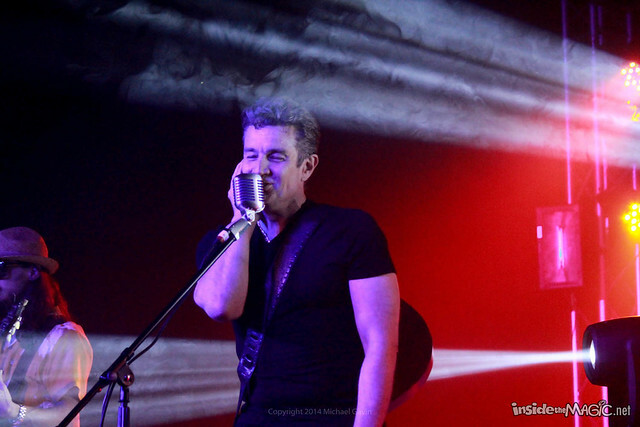 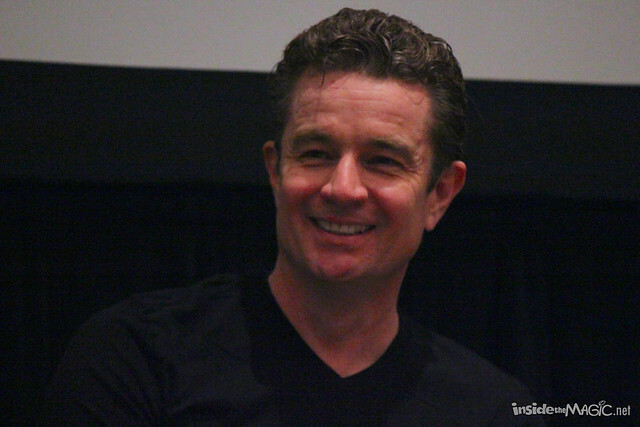 Then on Saturday, James Marsters’ band performed to an excited crowd and an anime dance party was held as well, keeping MegaCon alive until well past midnight each night. 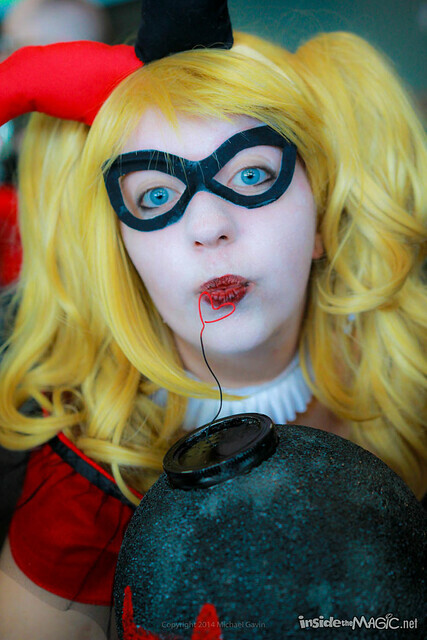 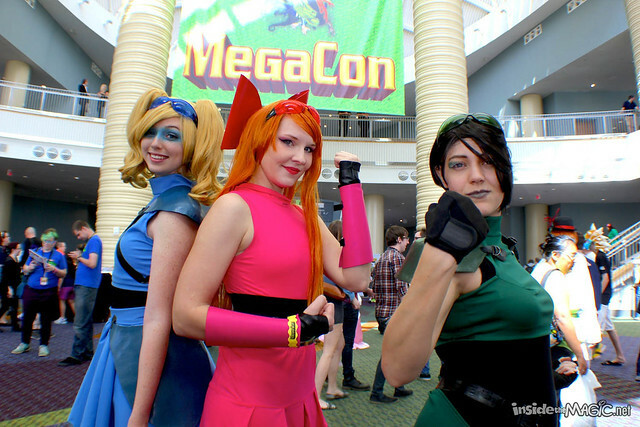 Though Saturday’s unexpectedly huge crowds caused severe traffic and parking issues around the Orange County Convention Center, those who were able to get in saw a huge MegaCon event that rivaled some of the country’s biggest comic-cons. 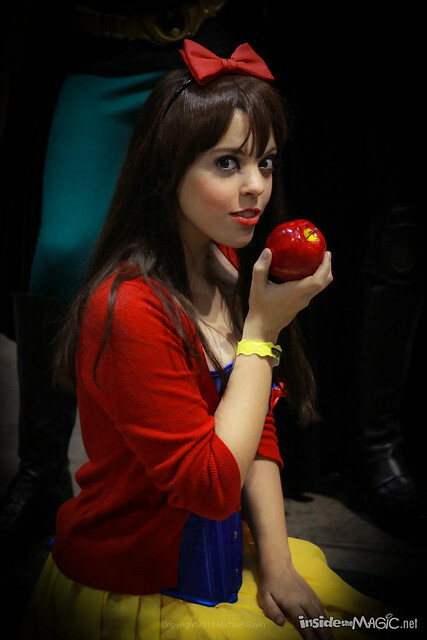 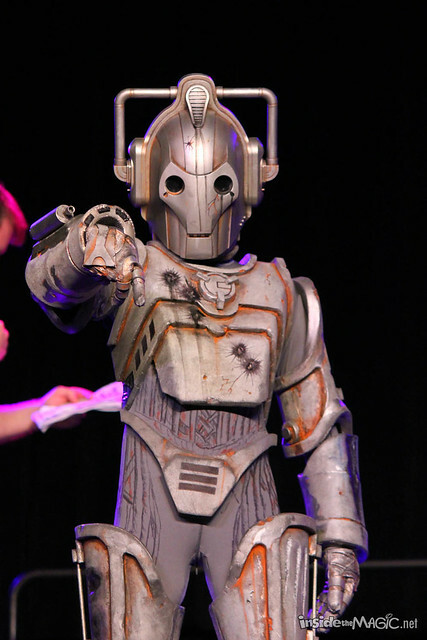 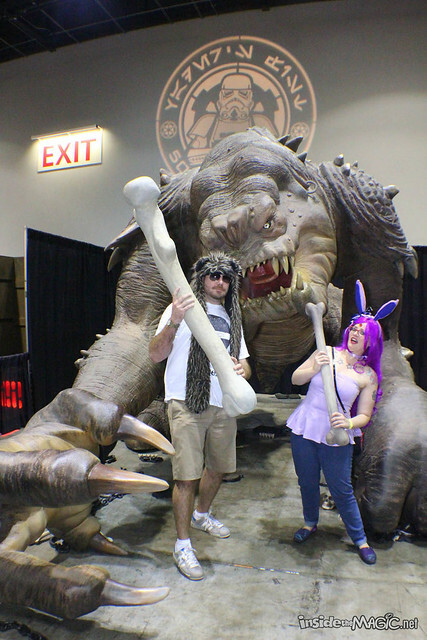 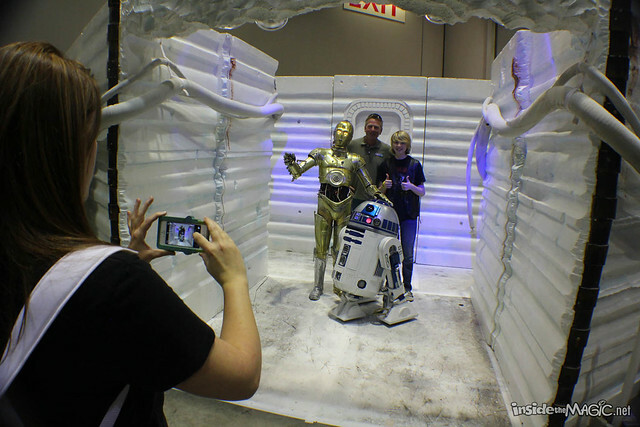 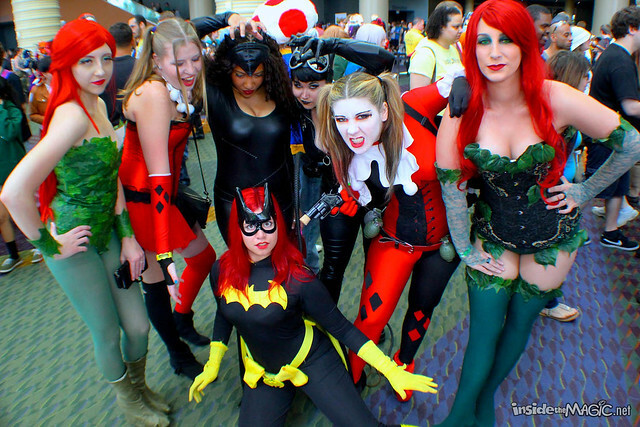 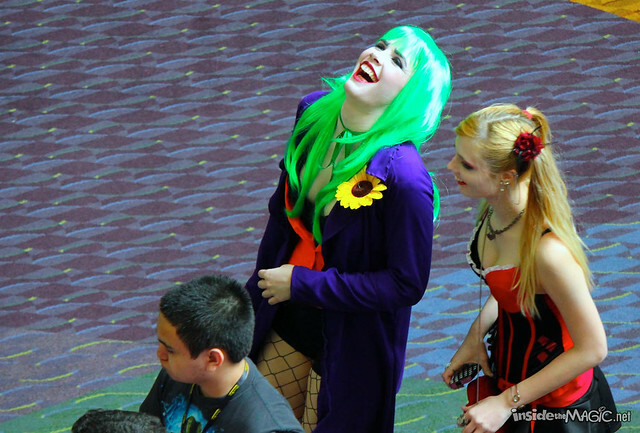 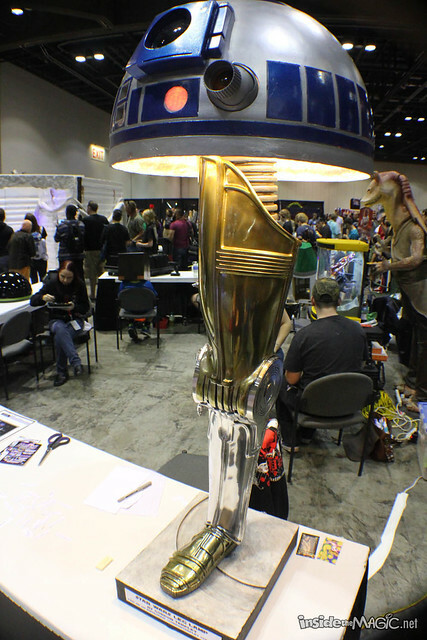 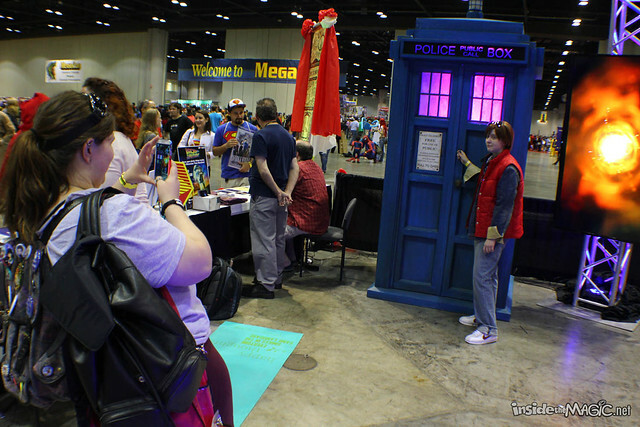 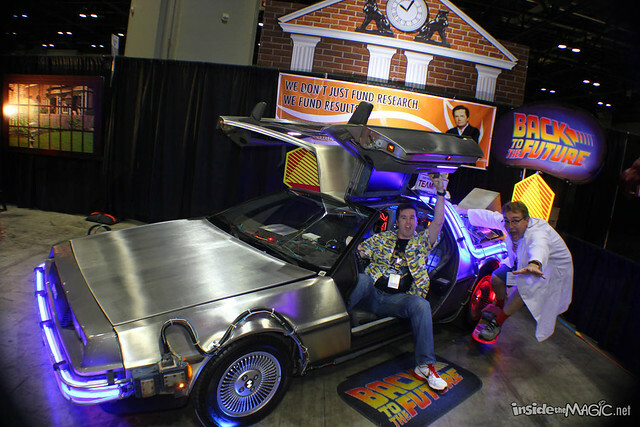 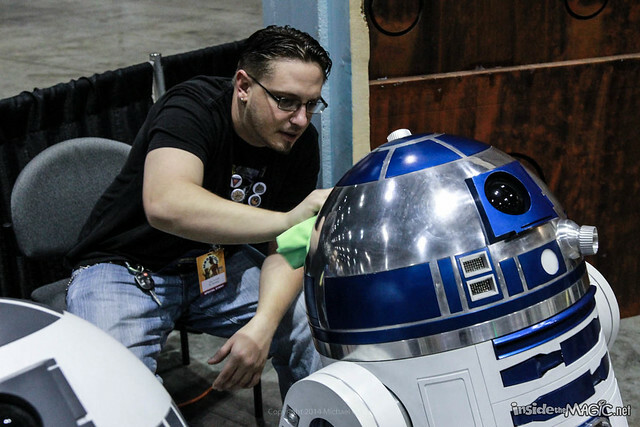 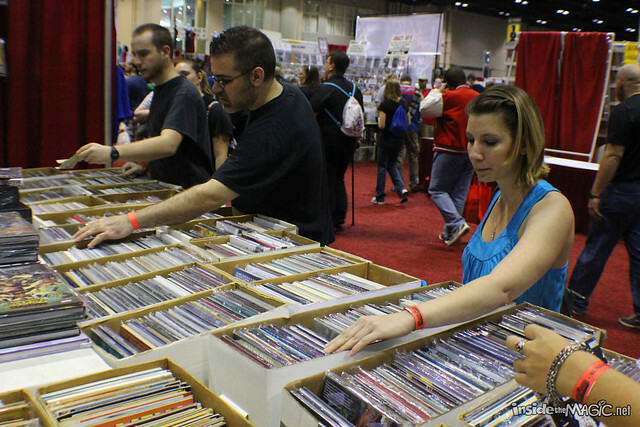 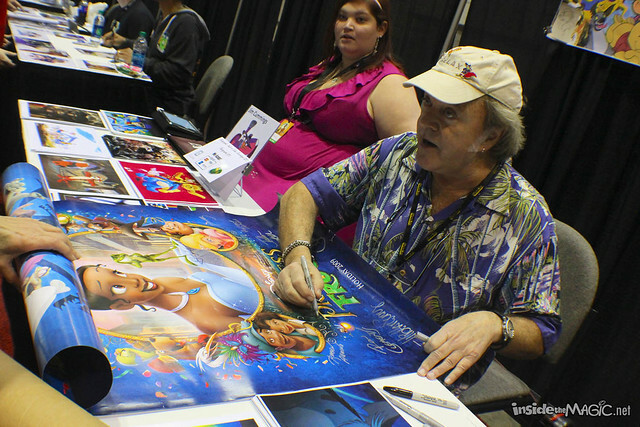 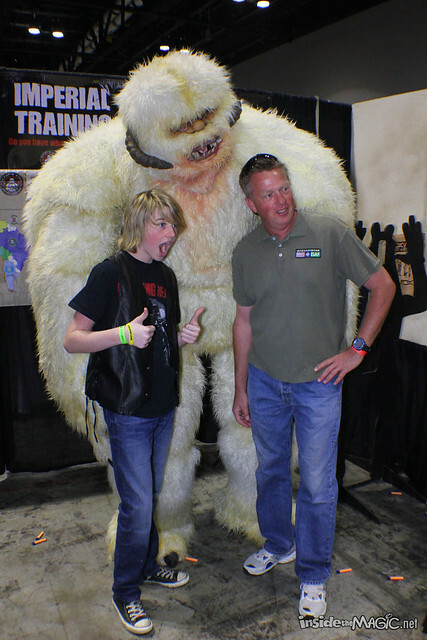 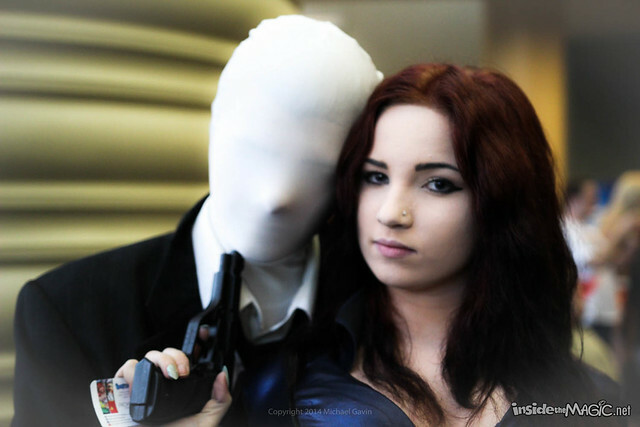 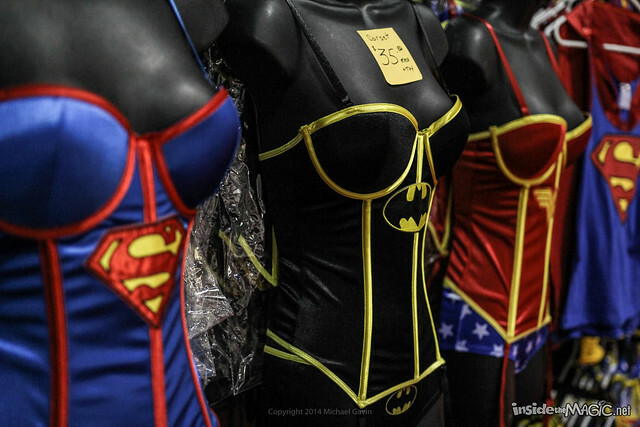 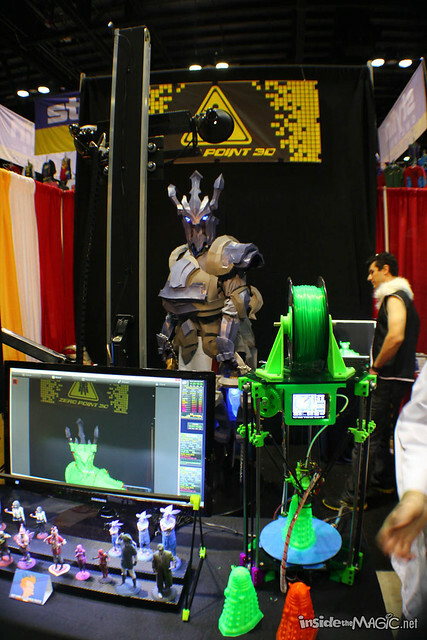 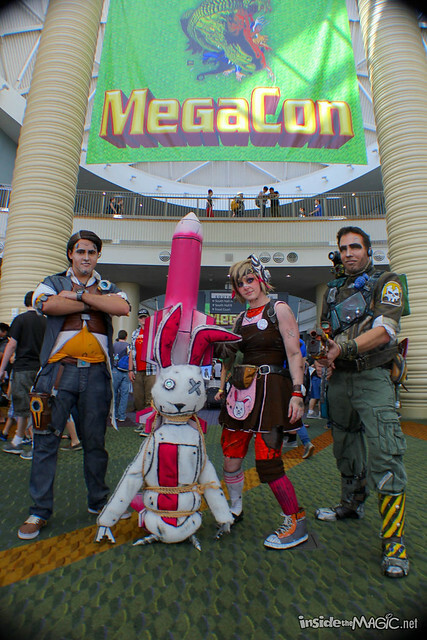 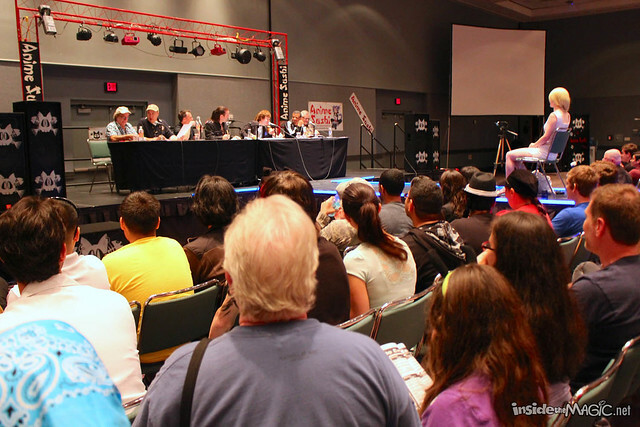 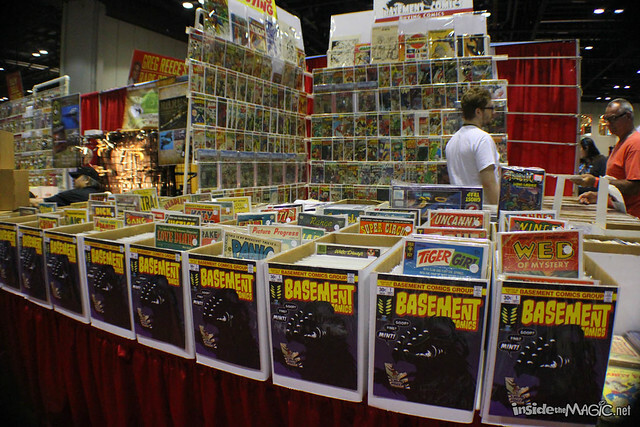 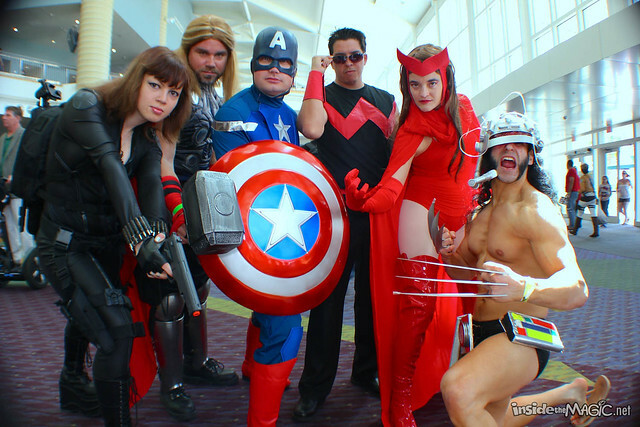 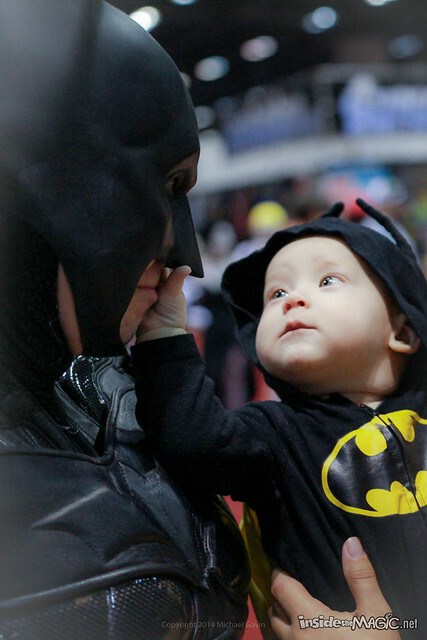 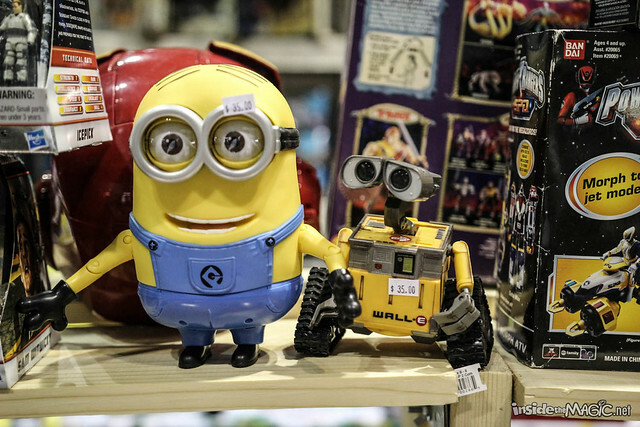 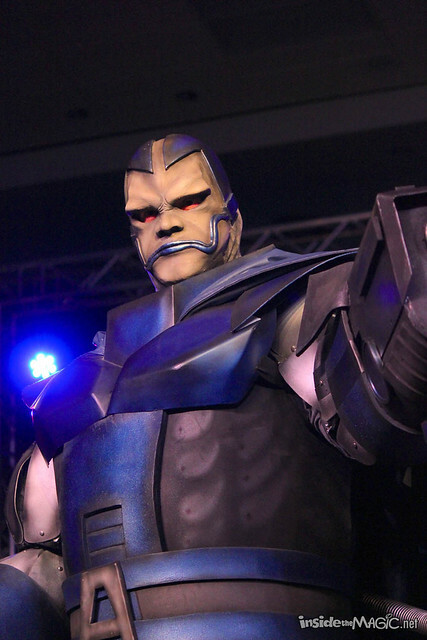 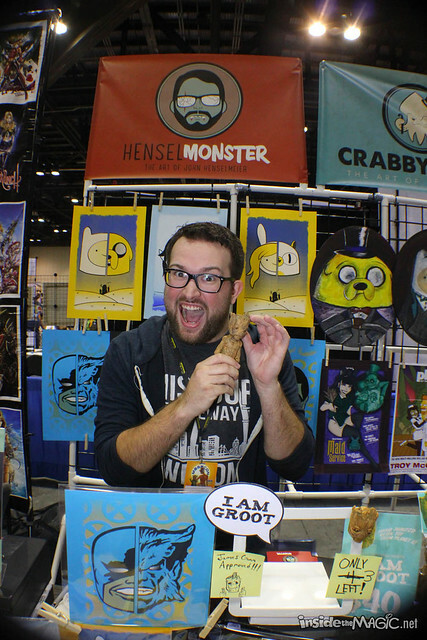 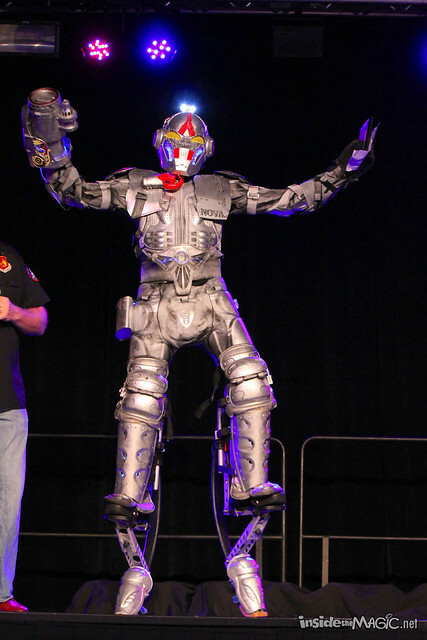 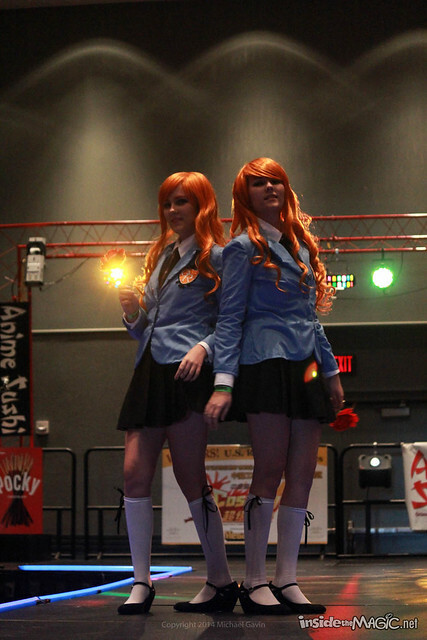 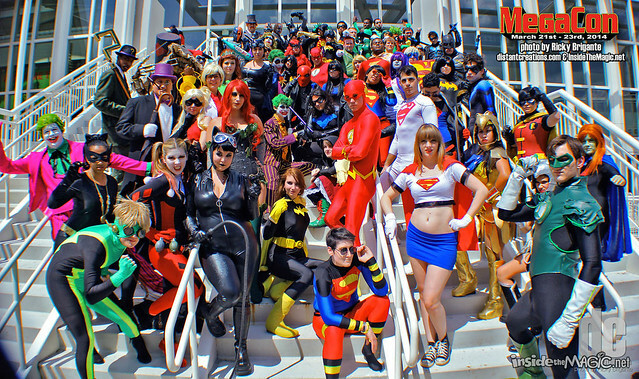 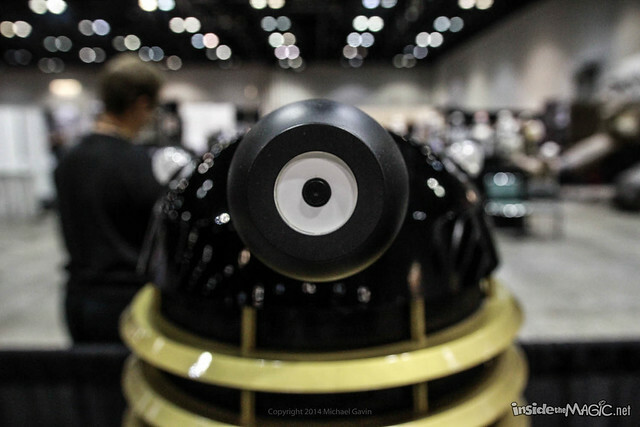 MegaCon keeps getting bigger and better year after year and will return to Orlando in 2015 for even more comic, sci-fi, television, movie, and general pop culture fun. 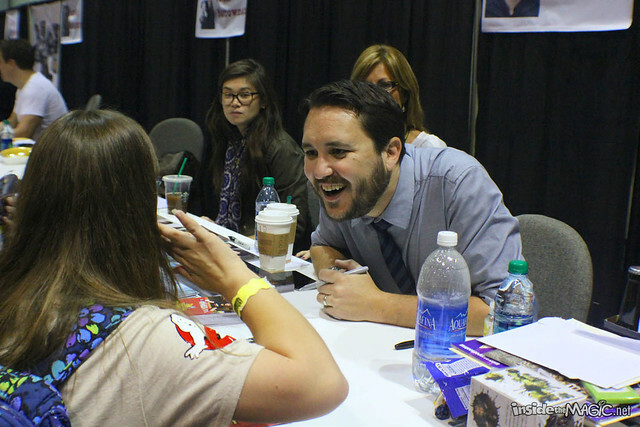 Whoa, glad you got a pic of me! 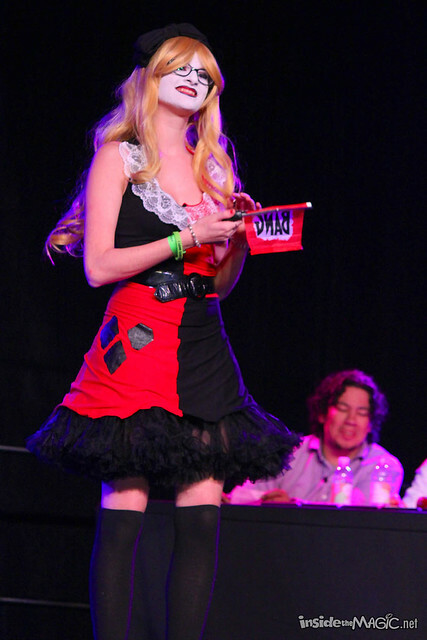 I was the Lucario in the cosplay contest. 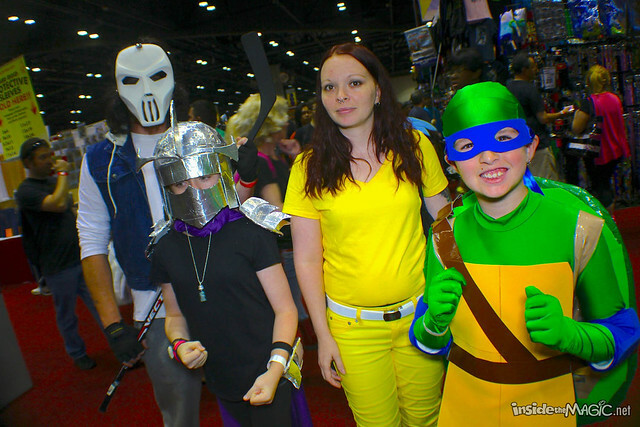 Too bad the shot cut off my Riley’s face!